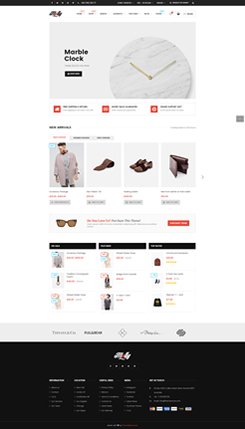 BED & BATH SALE Up to 75% Off! 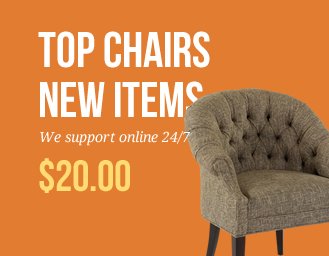 HOME ACCESSORIES 25% OFF 25% Off everything including sale! 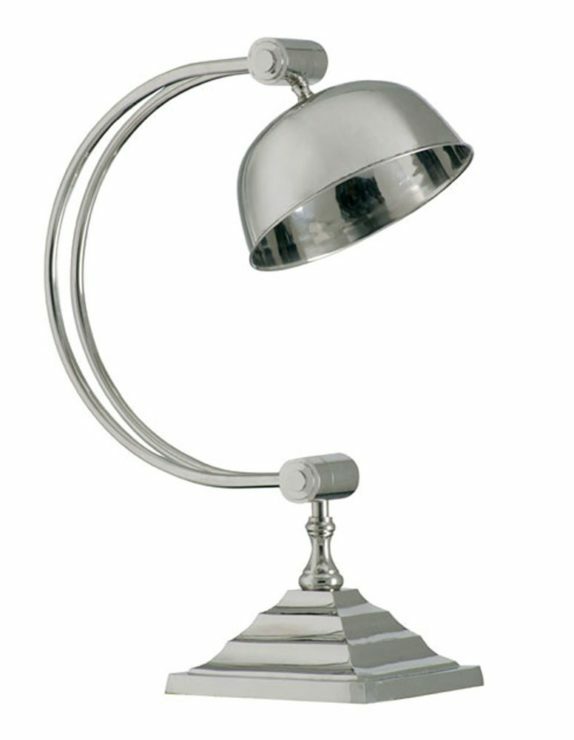 Polished nickel adjustable floor lamp from Chelsom. 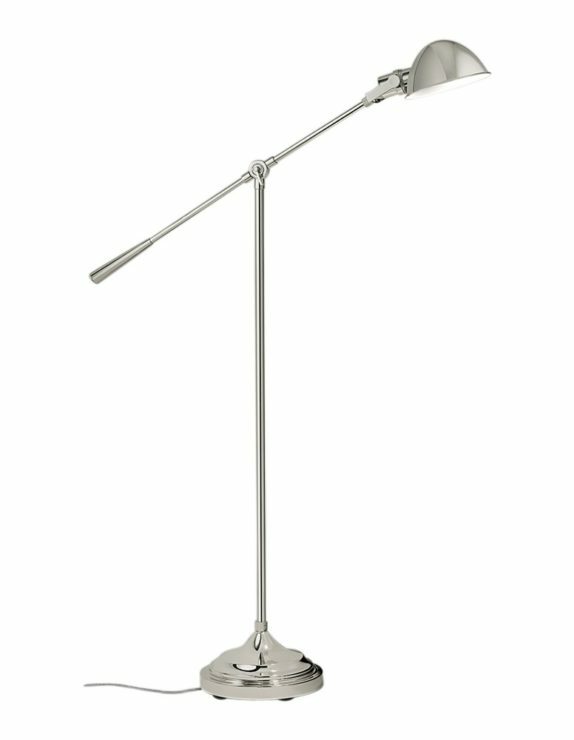 The Reach Floor Lamp features a classic large round swivel lamp head, straight base and round foot. 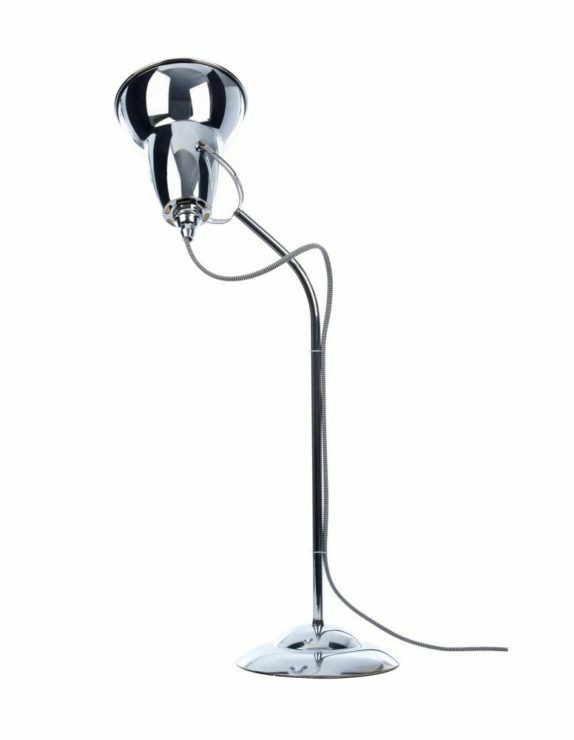 Each lustrous floor lamp will channel classic yet contemporary designer style into your lighting solutions. 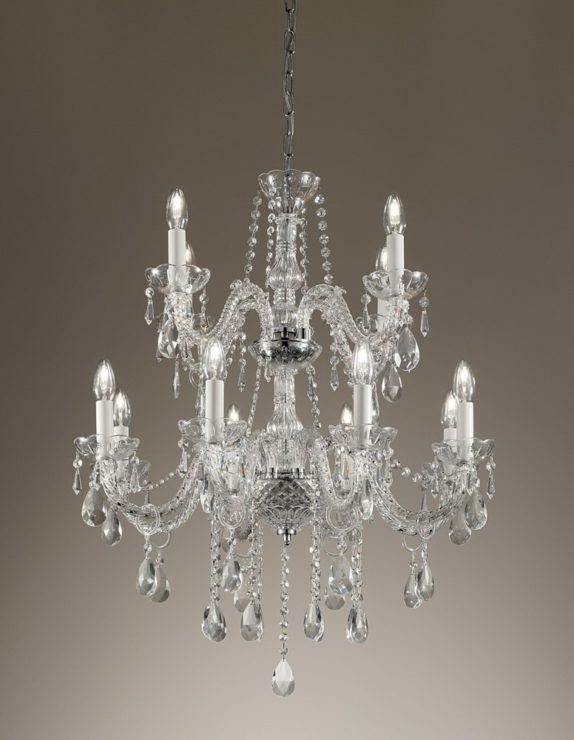 It will make a fine addition to the bedroom, lounge or hallway of your home where it will illuminate its surroundings. 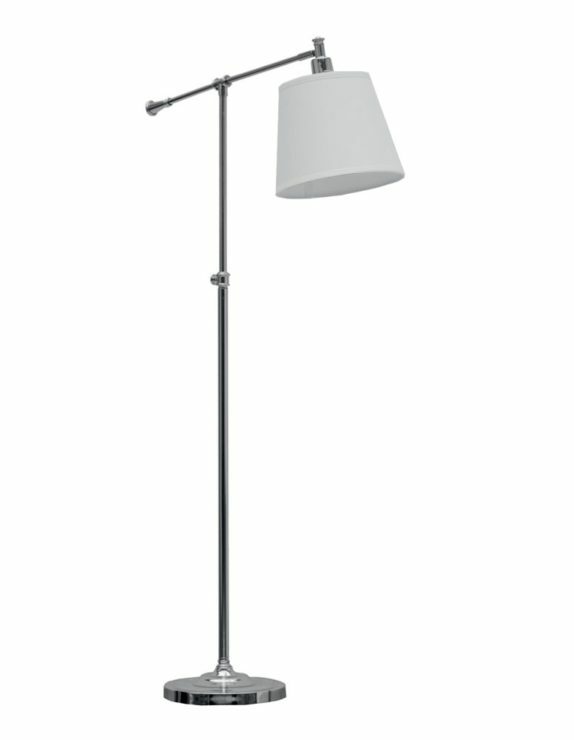 Elegant Andrew Martin floor lamp with adjustable base and off-white shade. 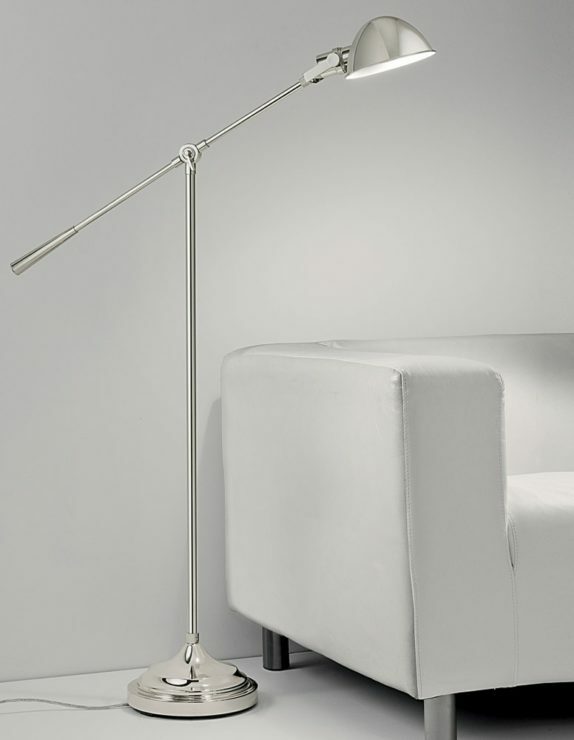 Direct an ambient illumination where you need it most with the Andrew Martin Nelson Floor Lamp. 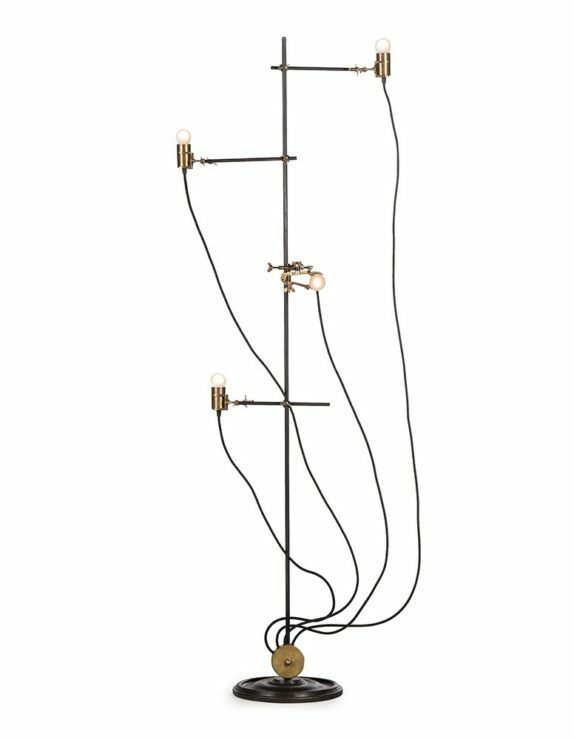 The Nicholas floor lamp from Andrew Martin has an eclectic designer feel. 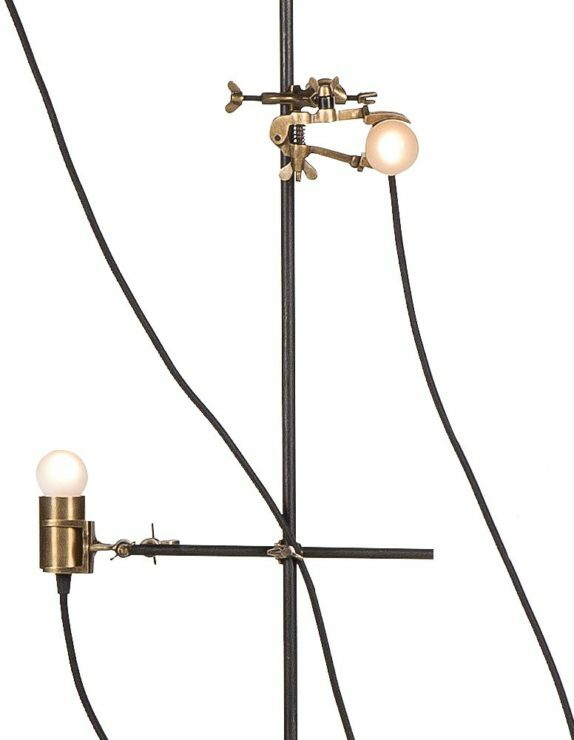 An exposed structural frame with a series of adjustable bulbs and visible cabling form a sculptural quality which makes this a stand out feature light. 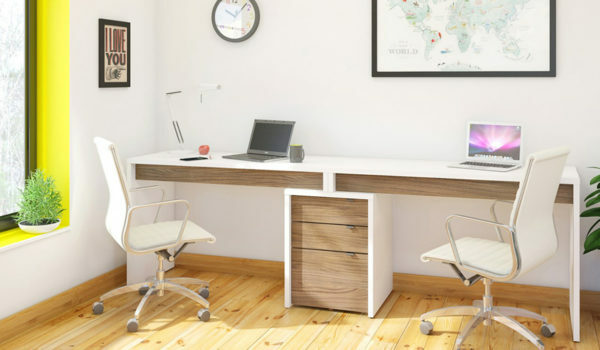 Having a stylish lamp can make or break a desk or office space. 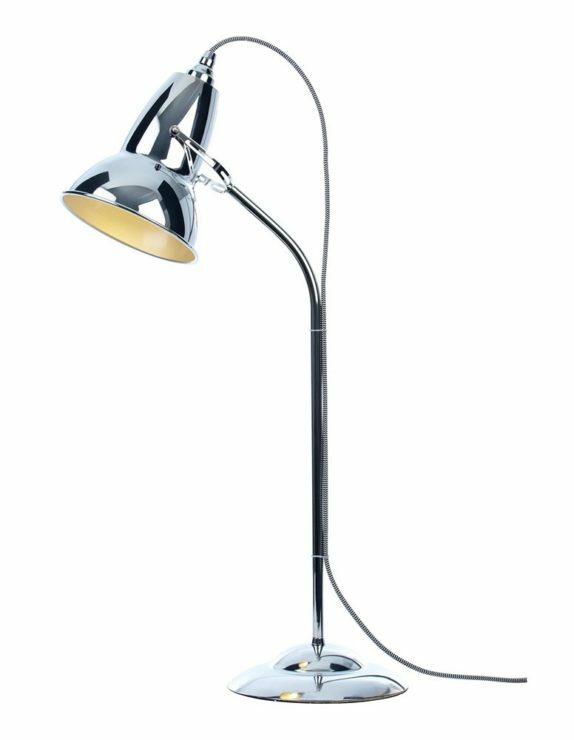 This stunning brushed aluminium Type 1228 Desk Lamp from Anglepoise has sharp geometric shape, echoing the slight industrial feel of the brand. 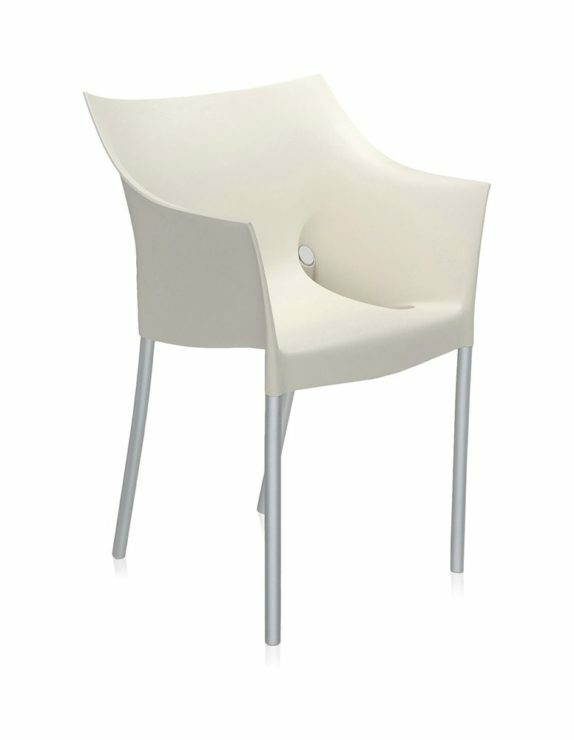 Eye-catching plastic and aluminium armchair, designed by Philippe Starck. 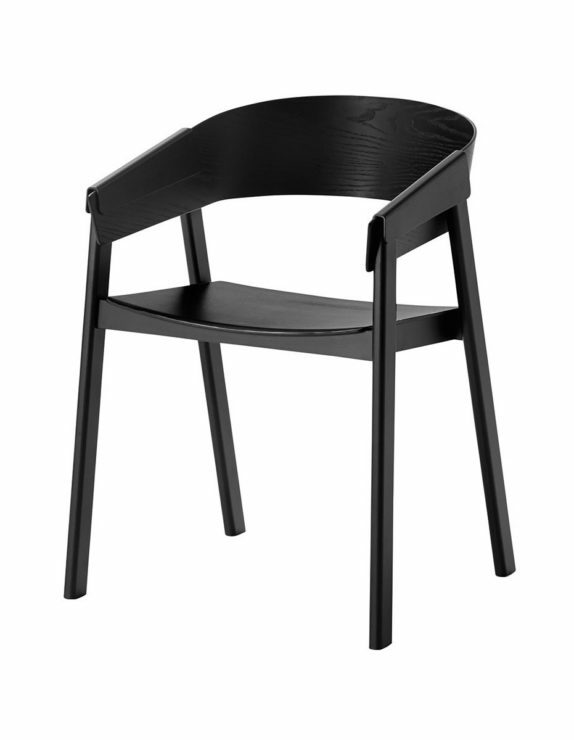 The Dr. No Chair is a true Kartell classic, renowned for its ideal combination of practicality and style. 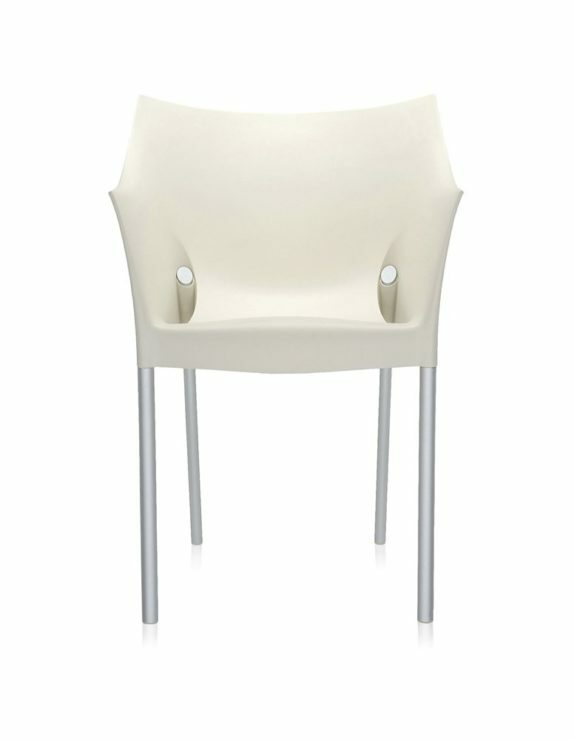 The chair is available in six pastel finishes and will be perfect grouped with the Dr. Na family of tables. 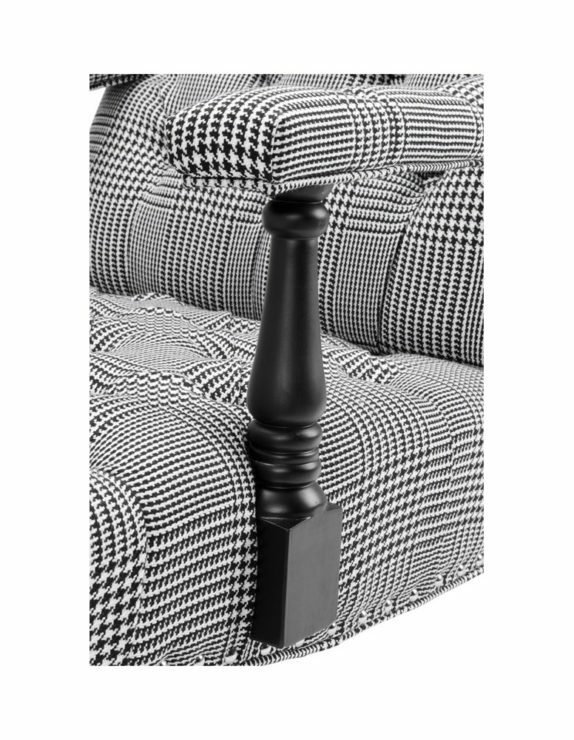 Black and white dogtooth pattern lounge chair from Eichholtz. 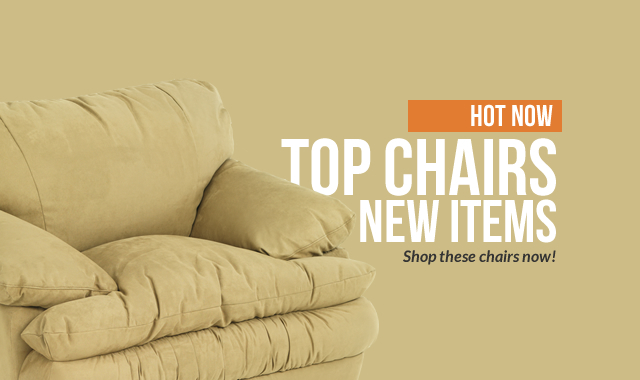 A classic chair with relaxed laid back style which will make everyday lounging a stylish affair. 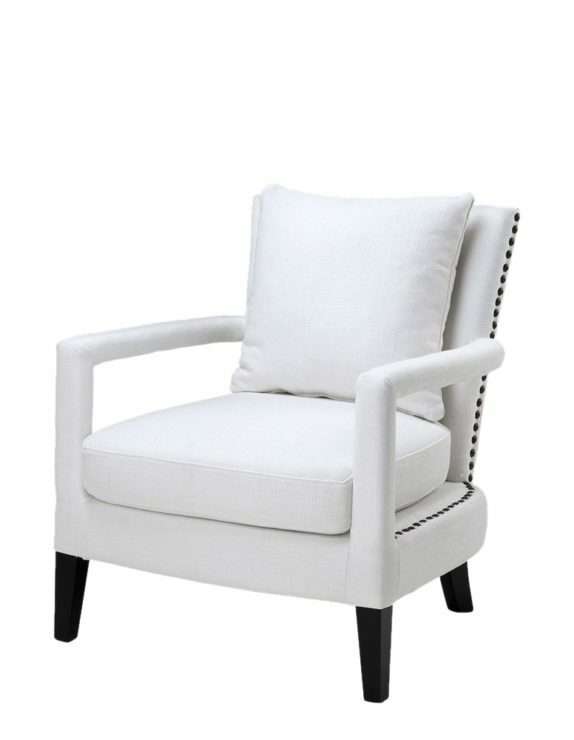 White linen look lounge chair with contrasting dark timber legs and stud detailing. 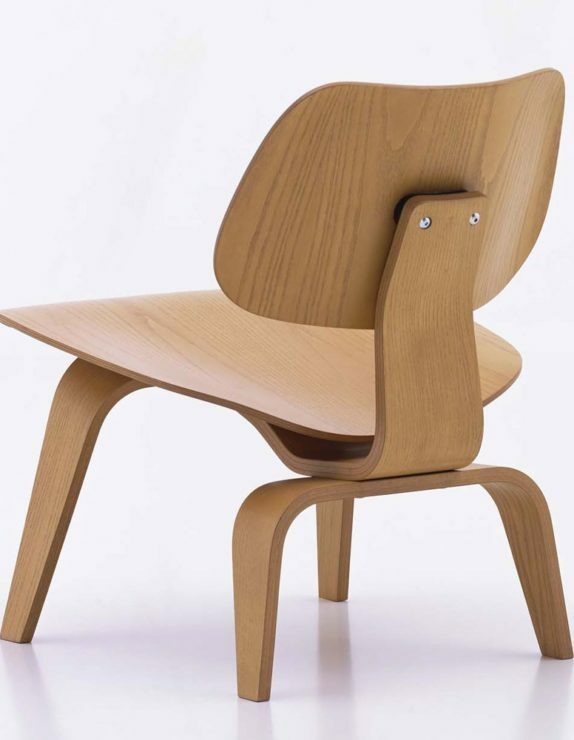 This wooden chair was born from an idea to create a comfortable and modern armchair. 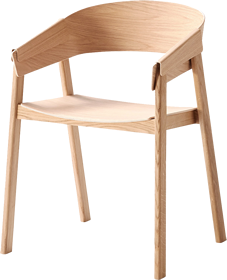 The oak version of the chair is made completely from PU lacquered oak while the coloured variations are made from ash and beech wood. 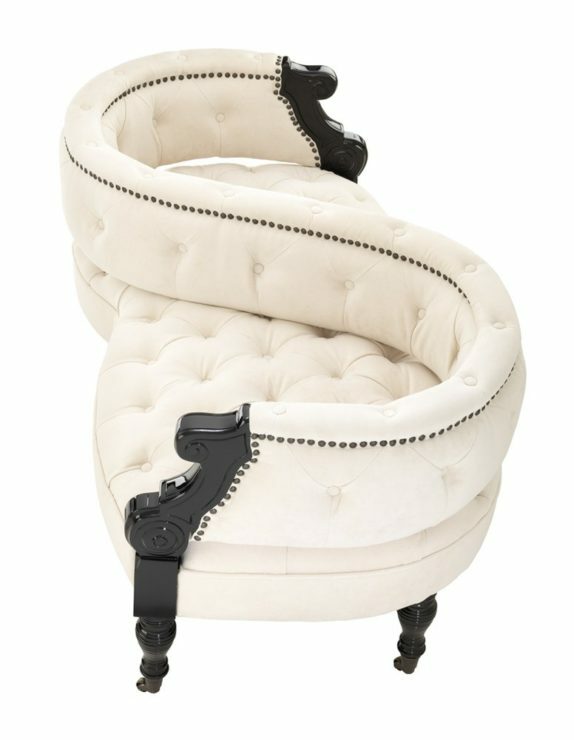 The chair was three years in the making and is the result of meticulous design that adds a contemporary aura to the seating arrangement in the home. 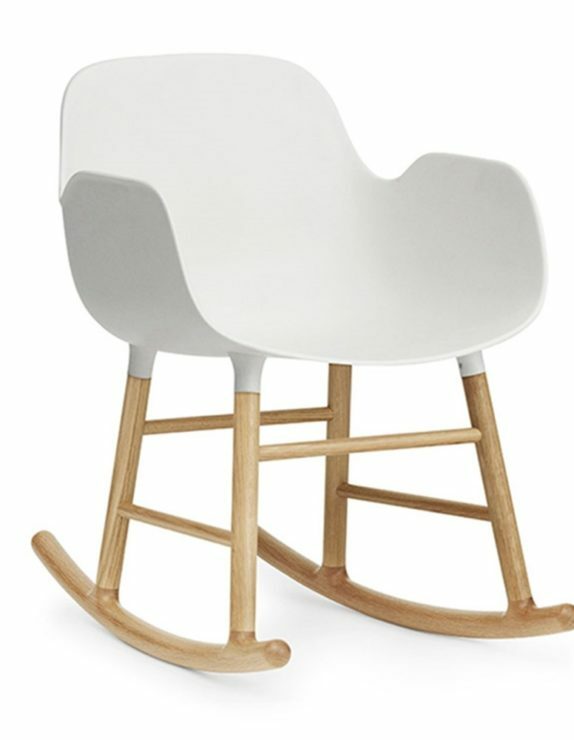 Contemporary plastic rocking armchair with oak legs. 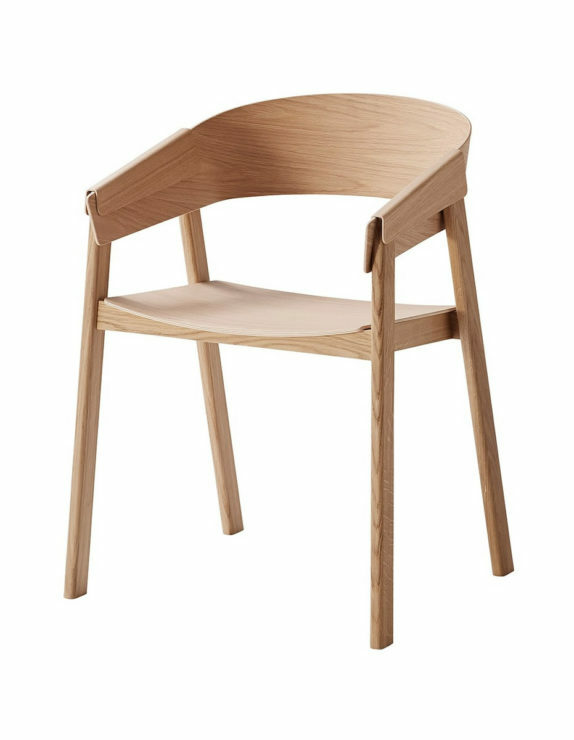 Relax in style after a long day in the office with the Normann Copenhagen Form Rocking Armchair – Oak. 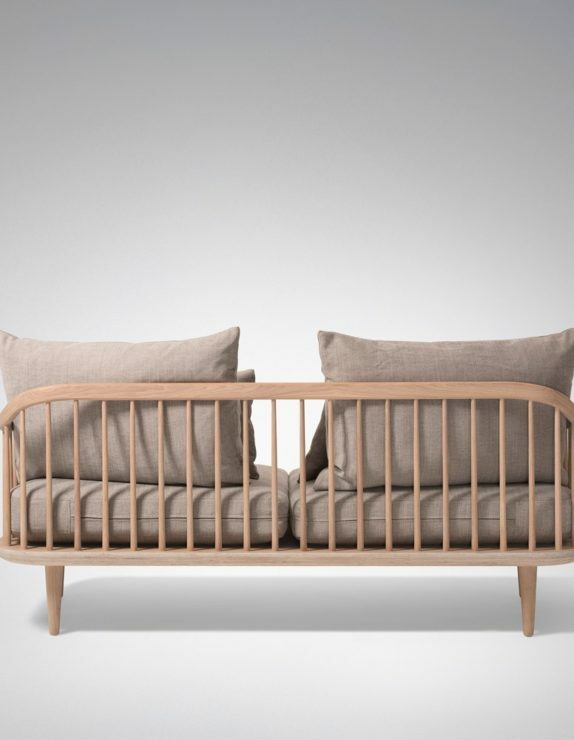 First created by Simon Legald, the purpose of Form was to redesign the traditional rocking shell chair with a more unified design. 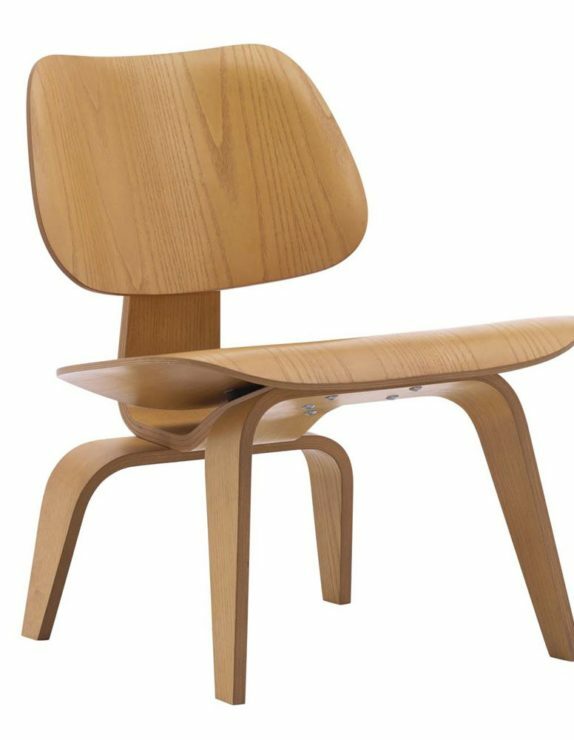 Charles & Ray Eames spent years experimenting with new processes for optimising three-dimensionally shaped plywood chairs and the result was this fabulous range of LCW lounge chairs with plywood seat, backrest & base originally designed in 1945/46 and now faithfully brought to life by Vitra. 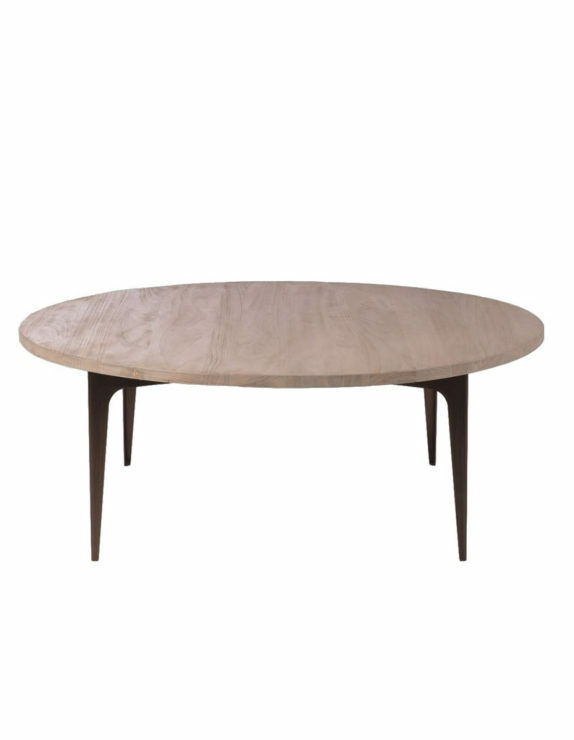 Round large addinterior coffee table with HPL top and sculptural natural wooden base. 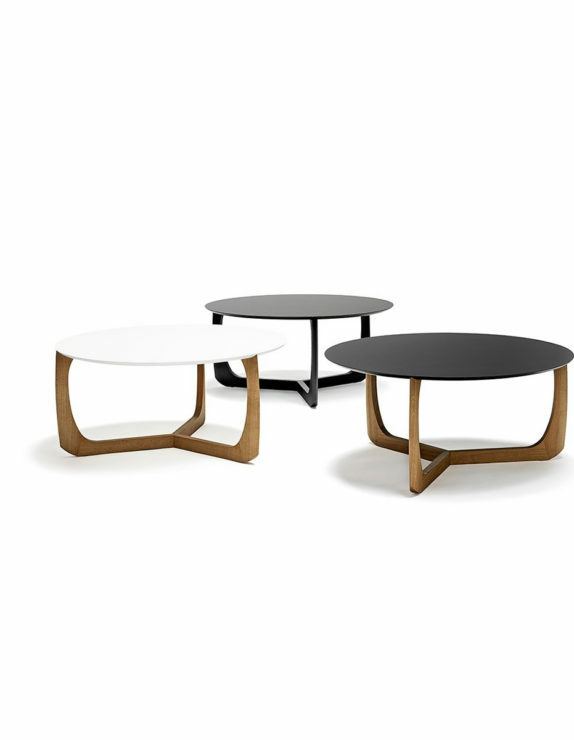 With a distinctive appealing sculptural shape the LILI table is reminiscent of a water lily. 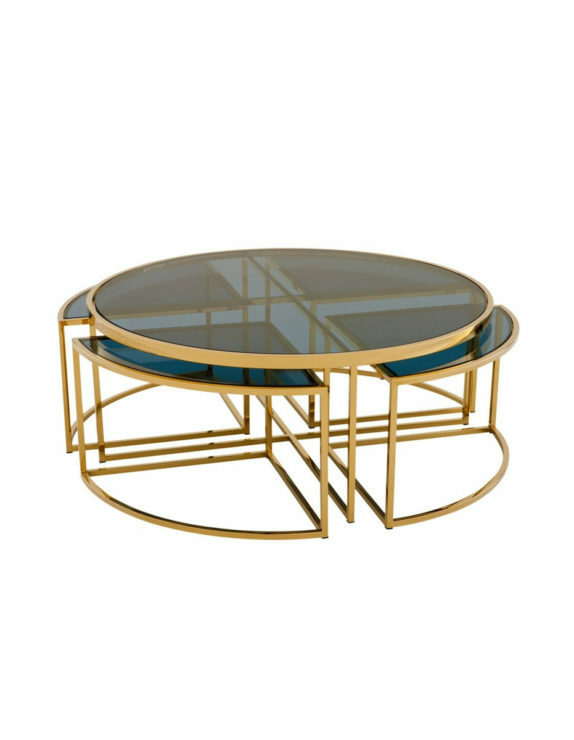 Glass top nesting coffee table with gold finish. 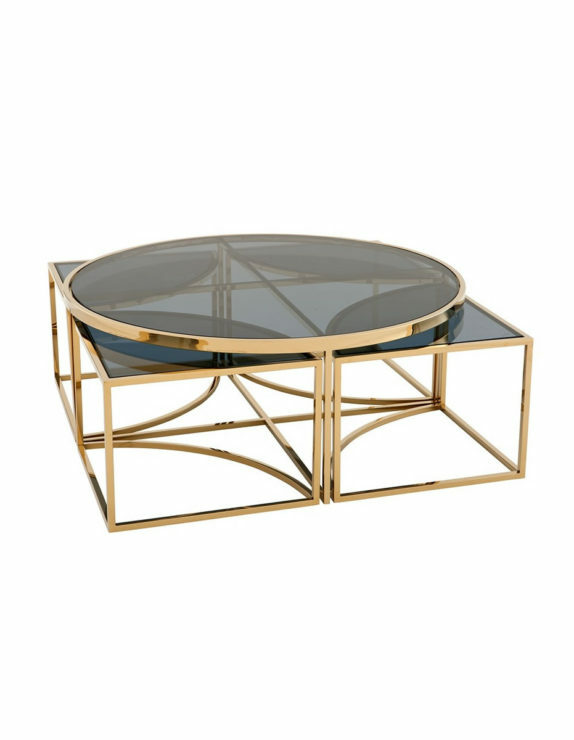 Channel contemporary glamour into your interior with the Pavoda Coffee Table from Eichholtz. 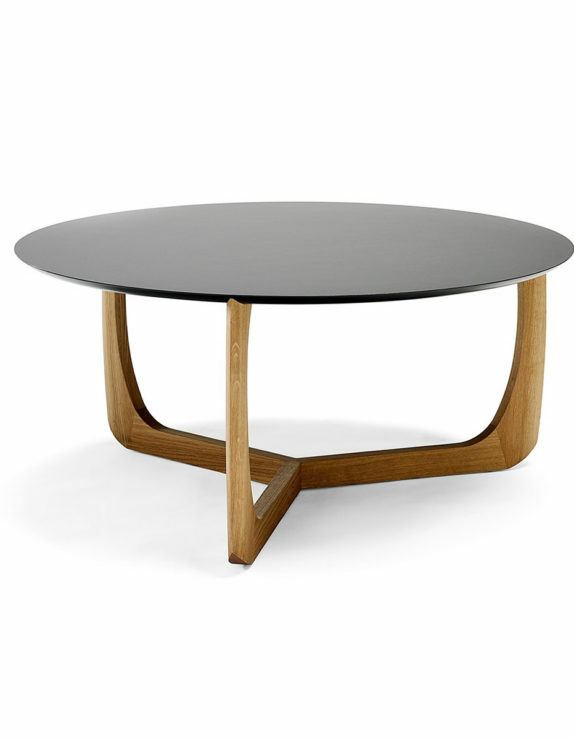 The Pavoda has a circular frame with timeless, luxurious appeal, making it the perfect focal point in your lounge or living space. 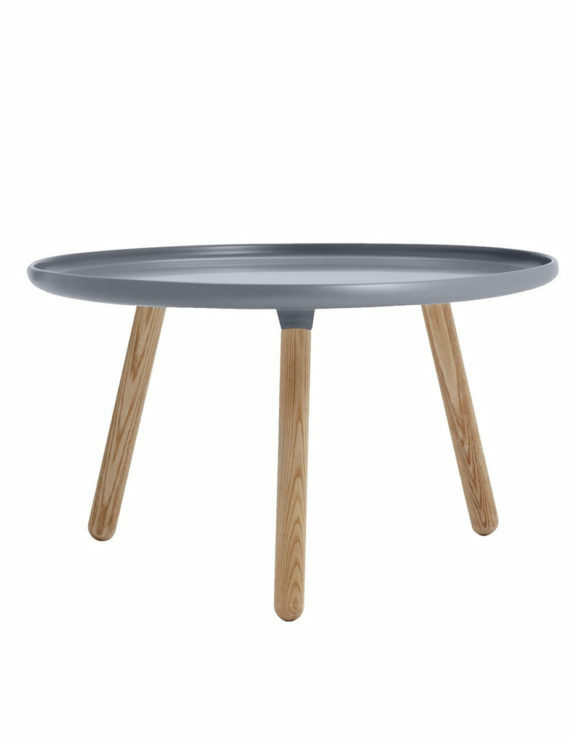 Round wooden coffee table with metal base. 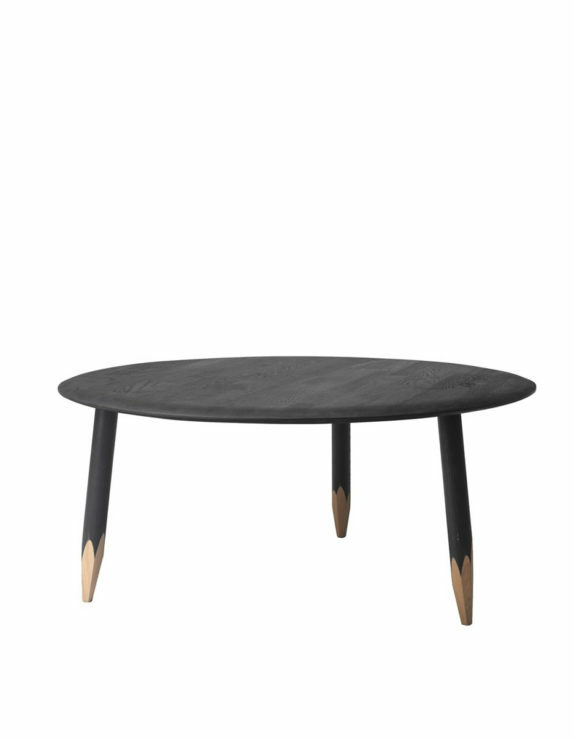 The Merry coffee table is a beautifully crafted circular table with a natural wooden top. 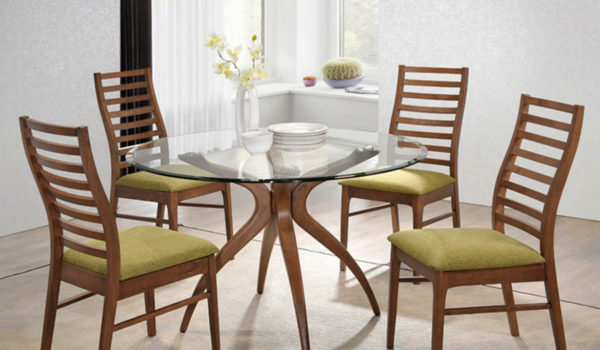 Dark metal legs elegantly taper to the ground and elevate the table within lounge spaces. 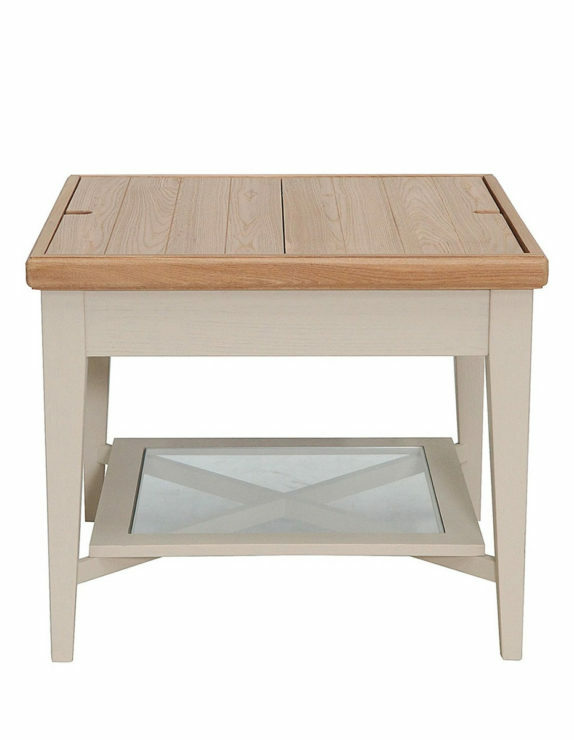 Elm wood square coffee table with internal storage. 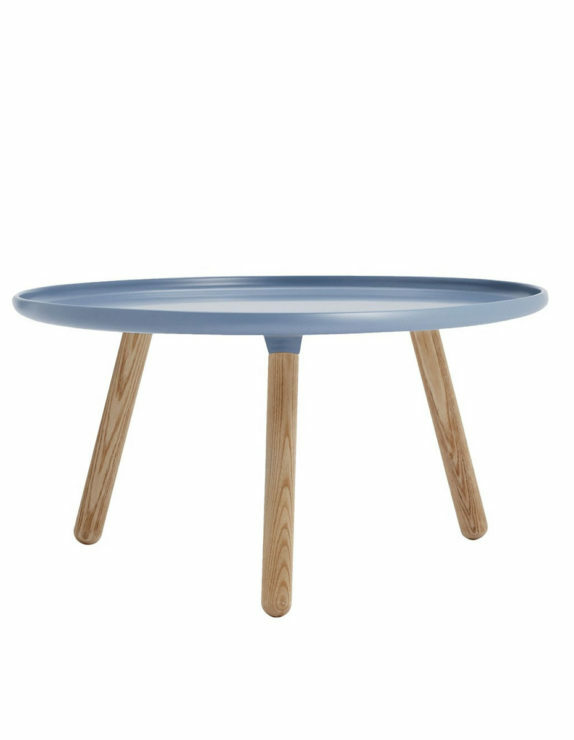 Add the final flourishes to your living room interior scheme with the OH Maison Coast Storage Coffee Table. 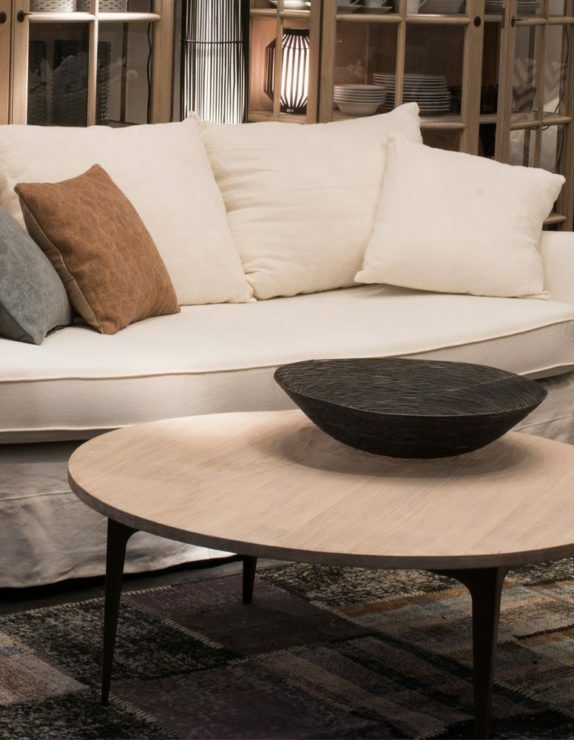 Sculpted from natural elm wood and elm veneers, this inviting square coffee table achieves a rustic aesthetic that is still distinctively modern. 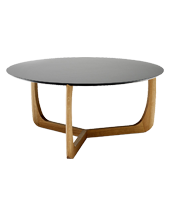 Designed by Samuel Wilkinson, the Hoof table design derives from the feet which are sharpened at the ends to provide a functional statement. 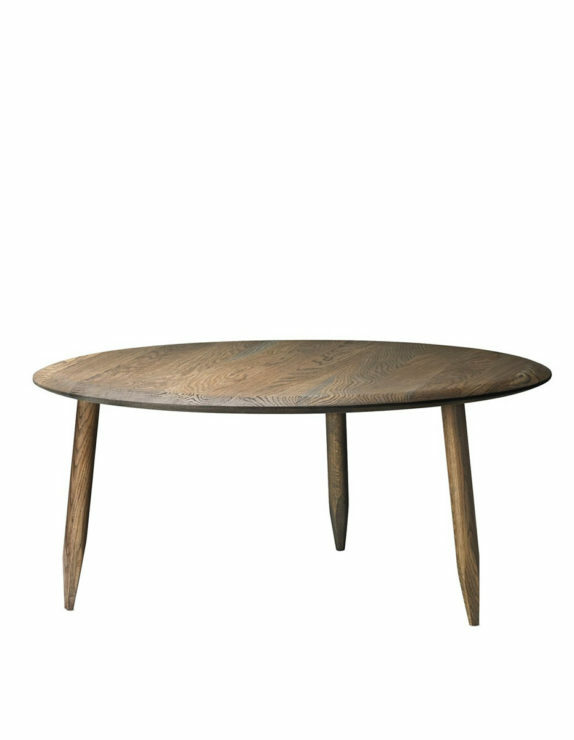 In contrast to most everyday tables the leg ends of Hoof are left untreated to avoid the paint being chipped off by kicking or being knocked and form a striking design feature. 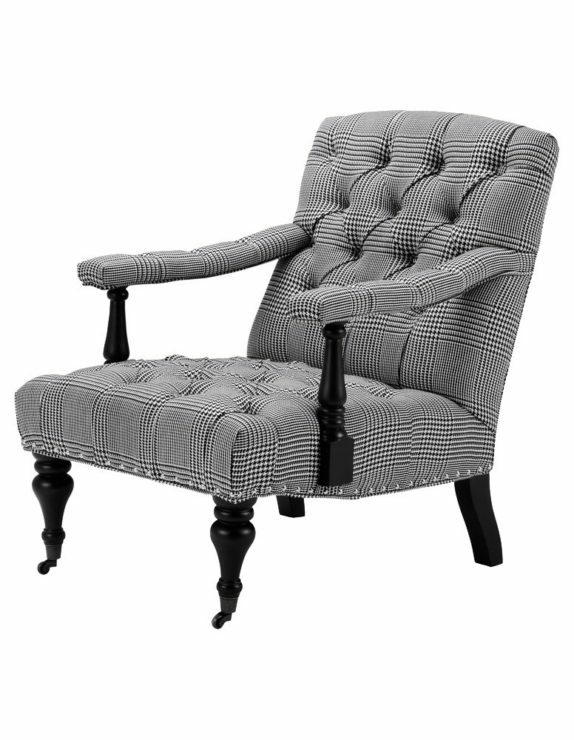 Classic regal conversation sofa chair with ecru velvet fabric and piano black frame. 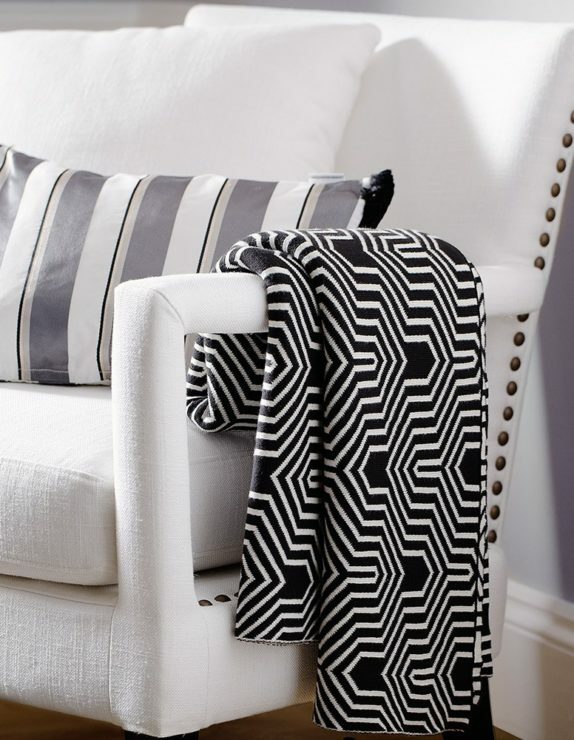 Inspire conversation in the heart of your entertaining space with the Eichholtz Gaby Sofa. 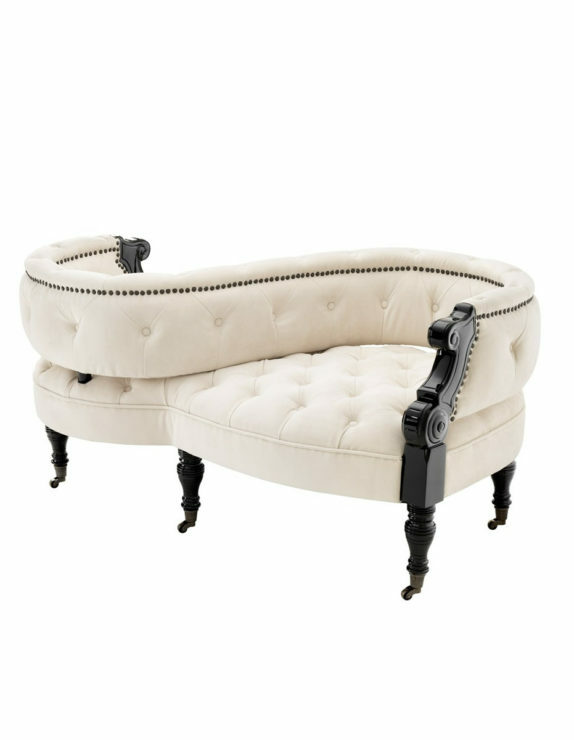 Drawing inspiration from antique French furniture, this sumptuous sofa exudes discerning regal appeal. 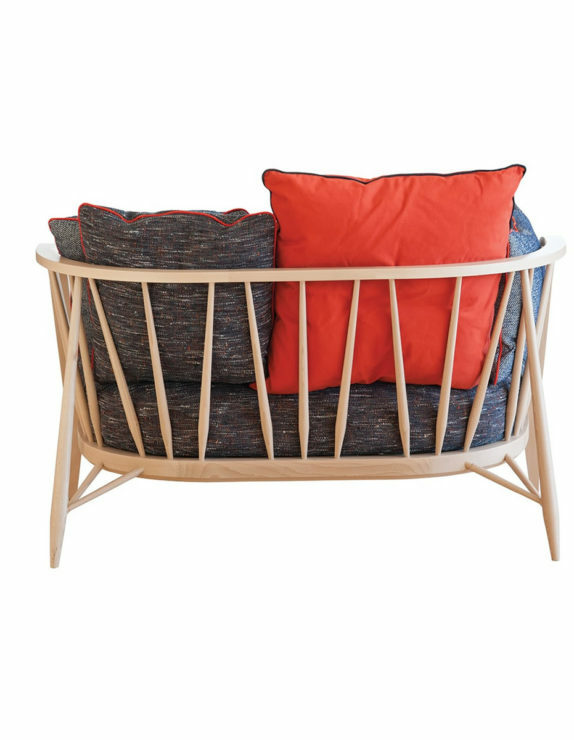 Ercol upholstered 2 seater sofa with bent beech wood frame. 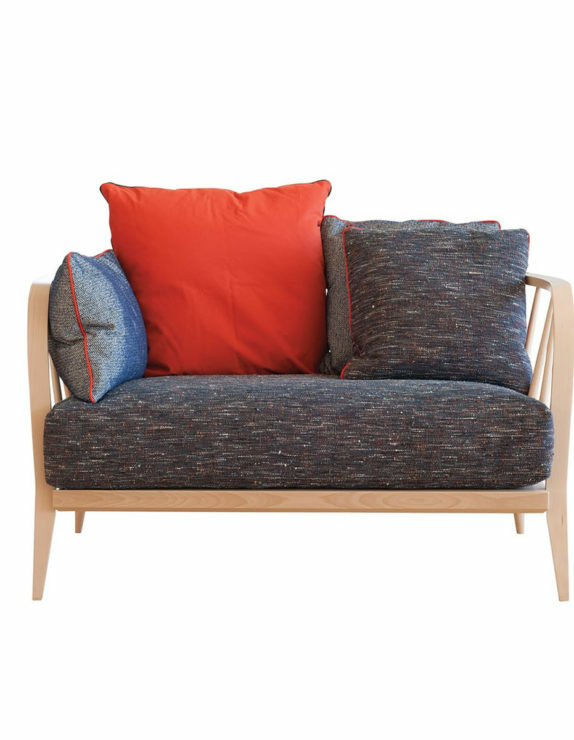 Seek refuge after a busy day on your feet with the Ercol Nest Small Sofa. 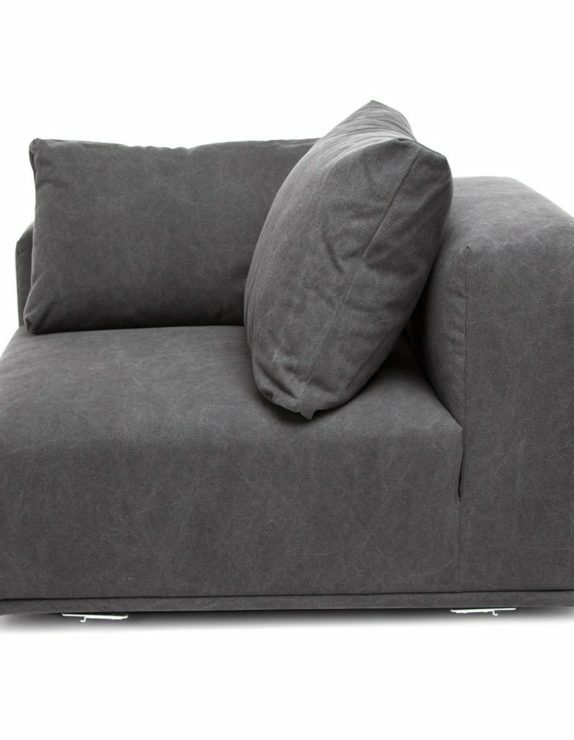 The FLY 2 seater sofa by SPACE Copenhagen is a lounge sofa which pushes the idea of lounging to its fullest. 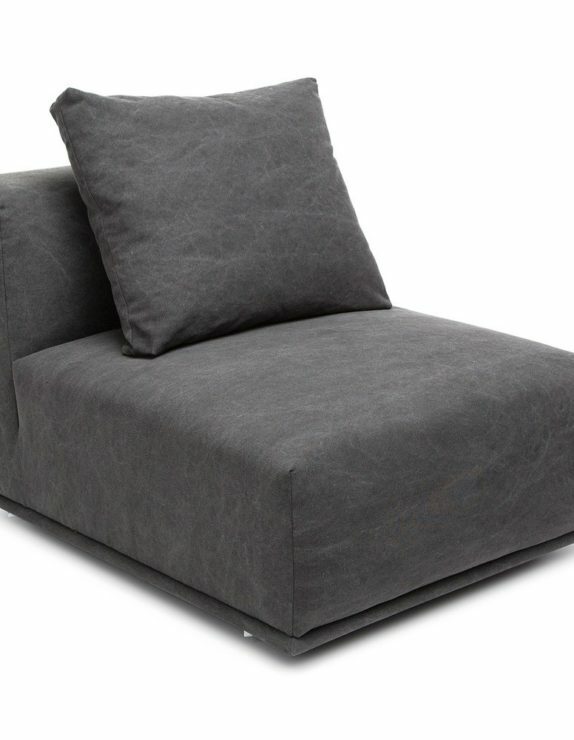 It allows the user to sit, lie, rest, and relax. 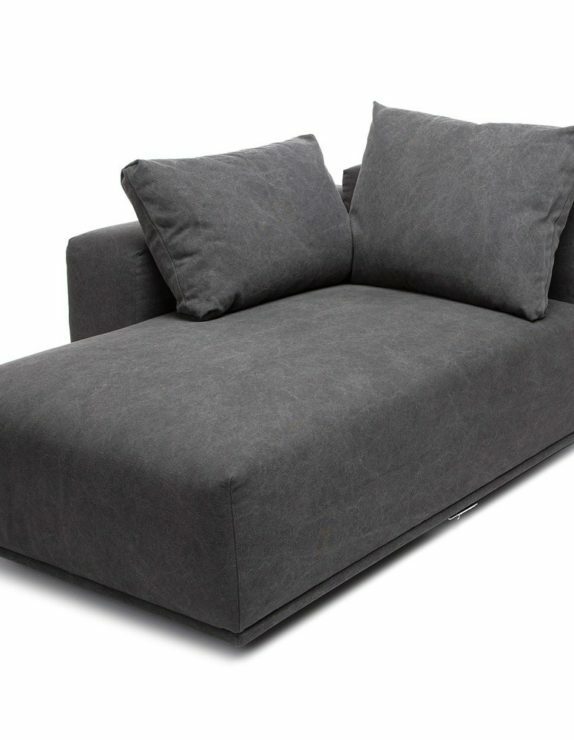 NORR11 module sofa collection with Black Medley polyester melange yarn upholstery. 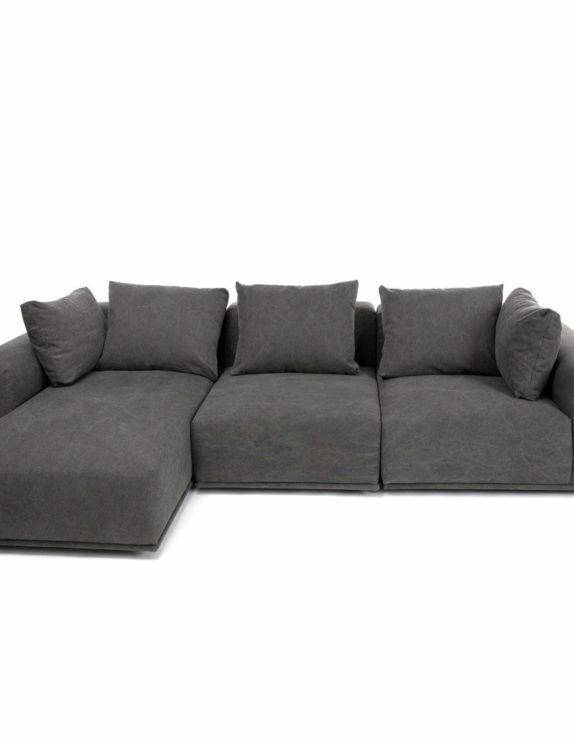 Create your own bespoke furniture arrangement with the NORR11 Madonna Modular Sofa Collection. 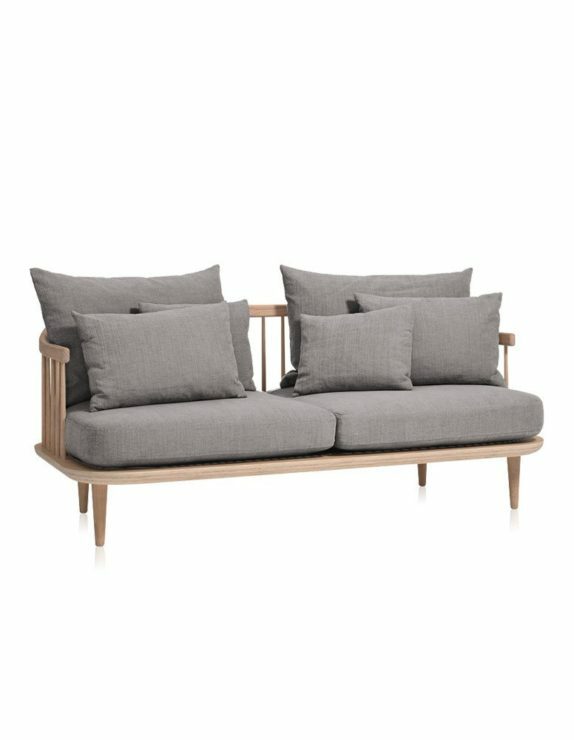 Inspired by Danish tradition and Scandic simplicity, this contemporary NORR11 modular sofa collection comprises of sectional components to create your preferred sofa configuration. 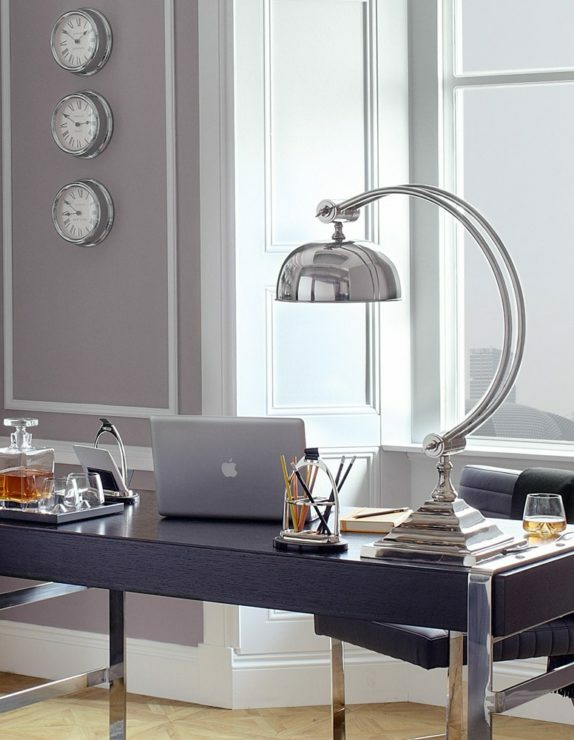 Table a motion for style with the Anglepoise Duo Table Lamp. 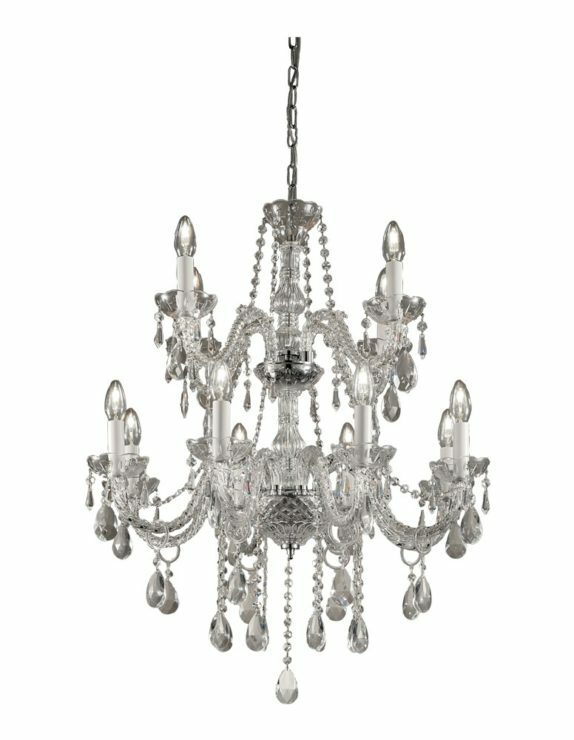 An elegant piece with an industrial aura, the shade is made from aluminium and comes in a bright chrome finish. 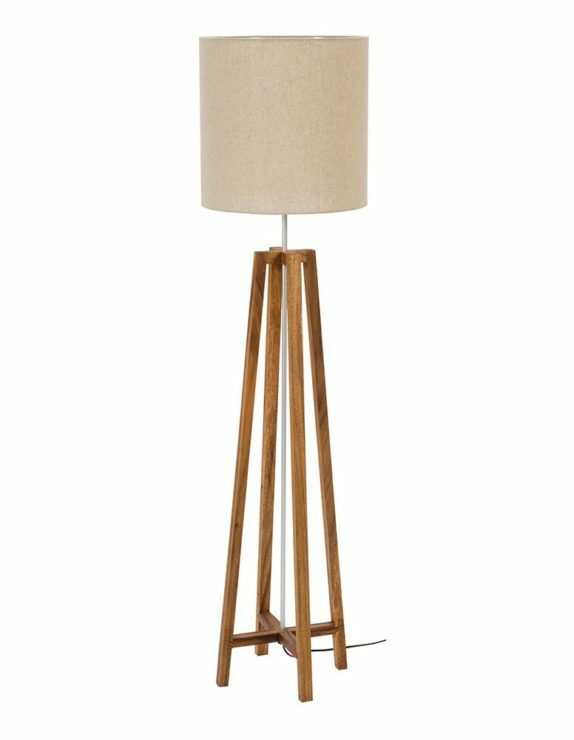 Stained wood floor lamp with white shade. 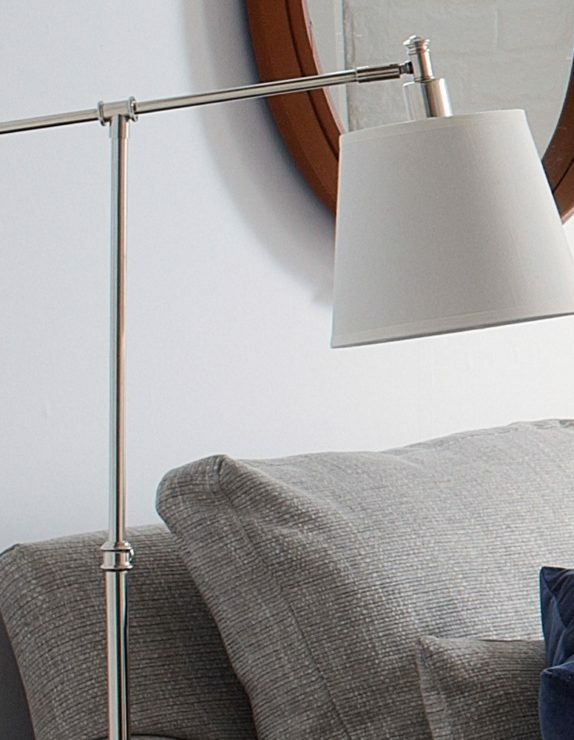 Cross style off the list with the PR Home Cross Floor Lamp. 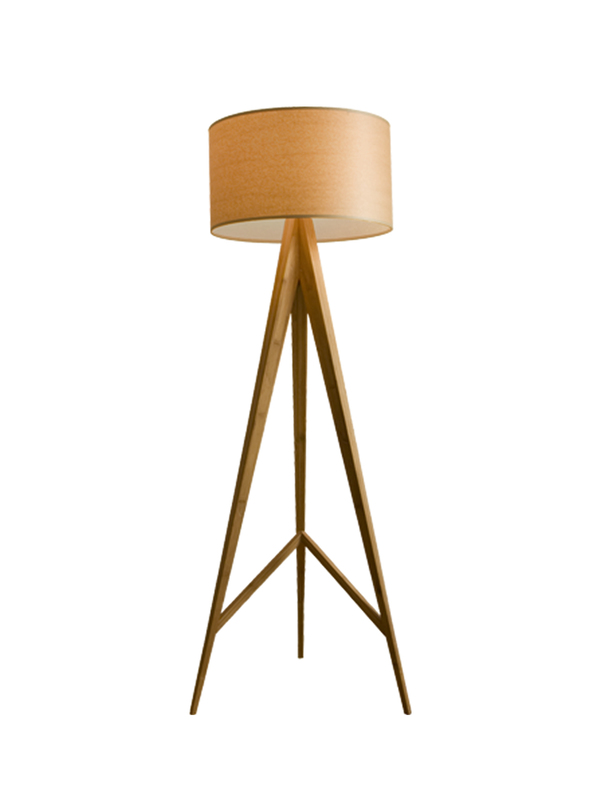 The base of the lamp is made from meh wood and features an aluminium stem and detailing. 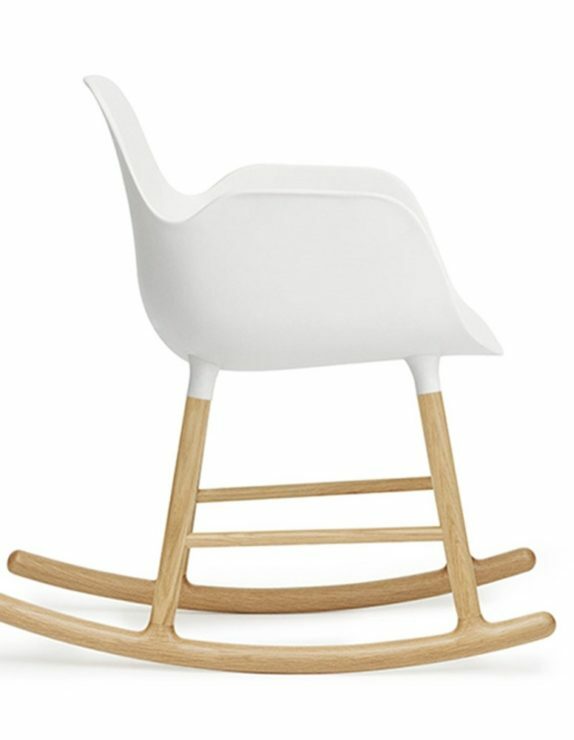 The wood comes in a stained finish. 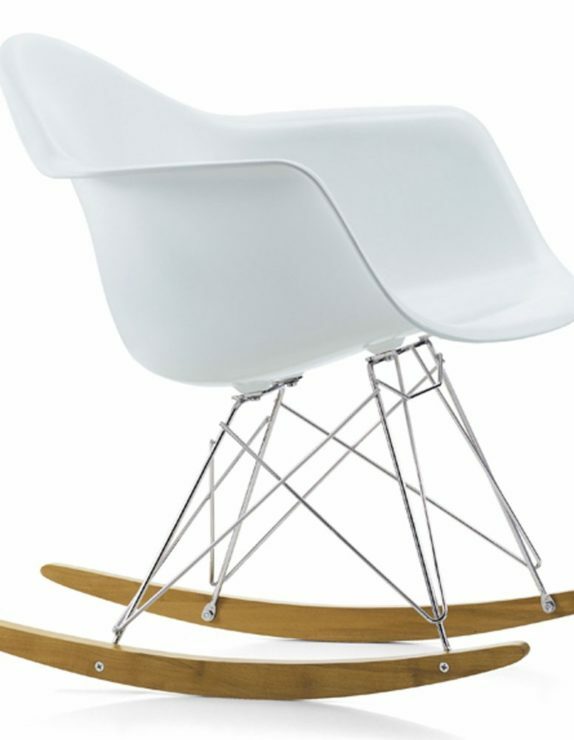 The structure comprises four thin, stem support legs joined by a criss-cross base plate while the stem legs meet to join at the top. 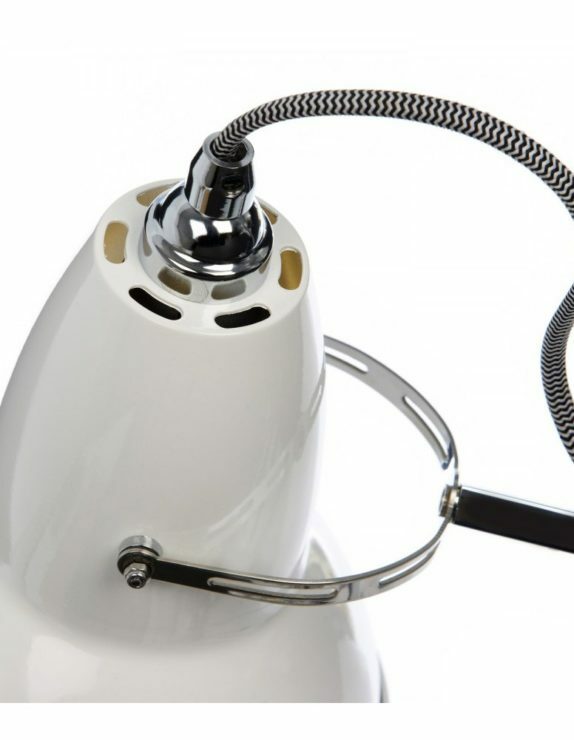 The aluminium stem runs throughout the middle of the piece. 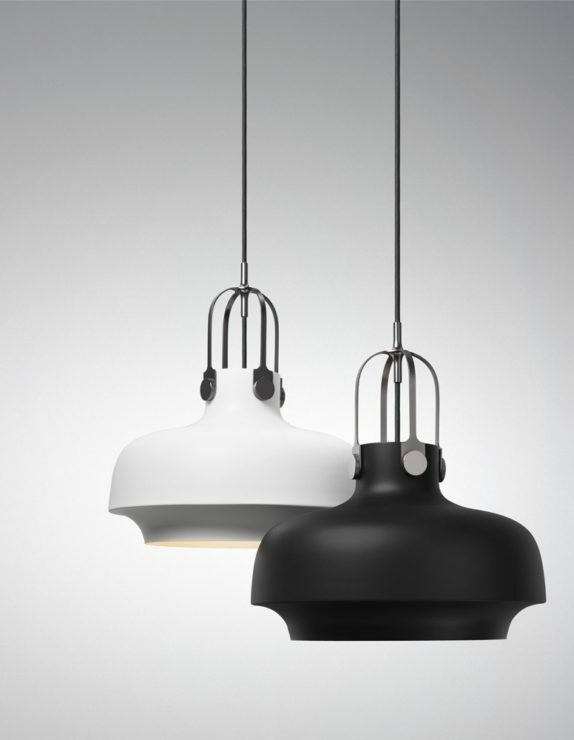 This design has evolved from the design house of NORM Architects who were inspired on travels through fabulous cities of Barcelona, Paris and New York where they saw streetlights with characteristic cast iron tops which looked a bit like a hat with semi transparent glass at the base. 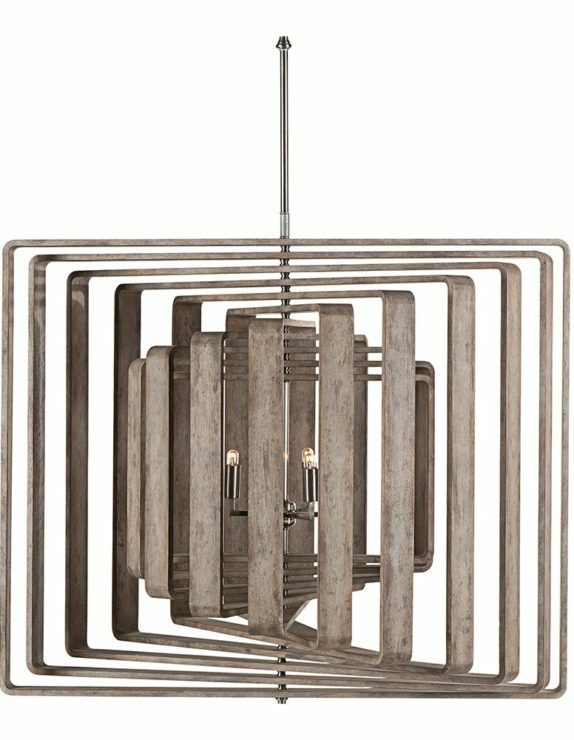 Lavish painted steel suspension ceiling pendant light from Artemide. 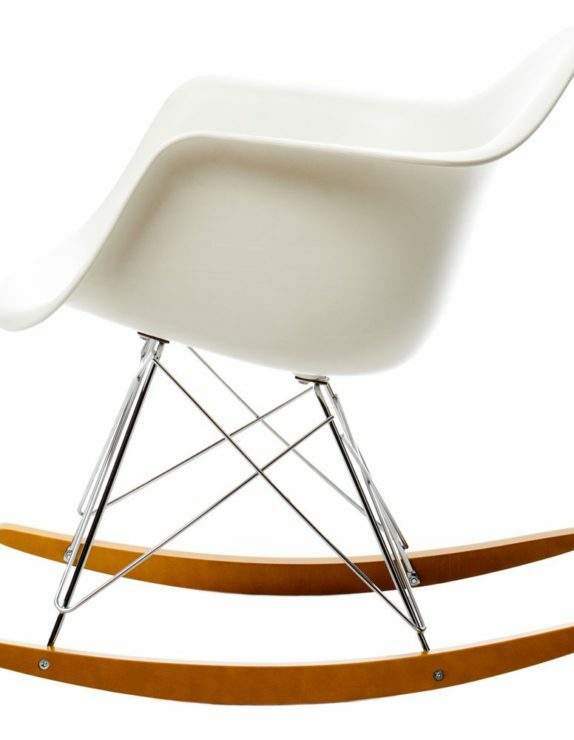 Inject the iconic style of the Gubi Bestlite BL9S into the heart of your interior space. 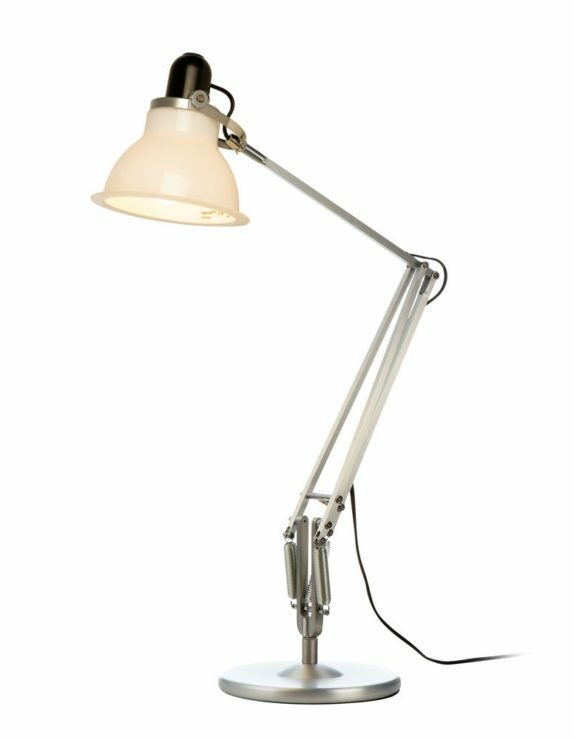 First created by Robert Dudley Best in the 1930s, the original Bestlite table lamp was celebrated in the prominent Architects’ Journal as the first example of Bauhaus design in the UK. 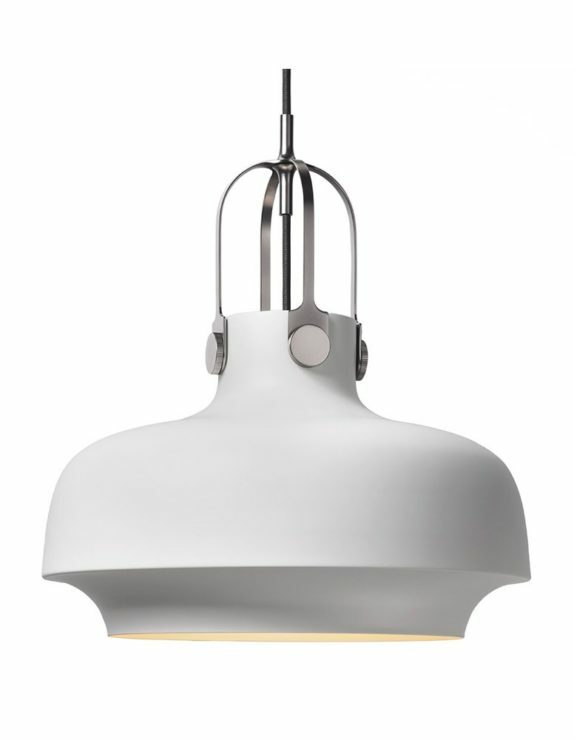 A joyful interpretation of the original design, Bestlite BL9S is a pendant lamp with lasting contemporary appeal. 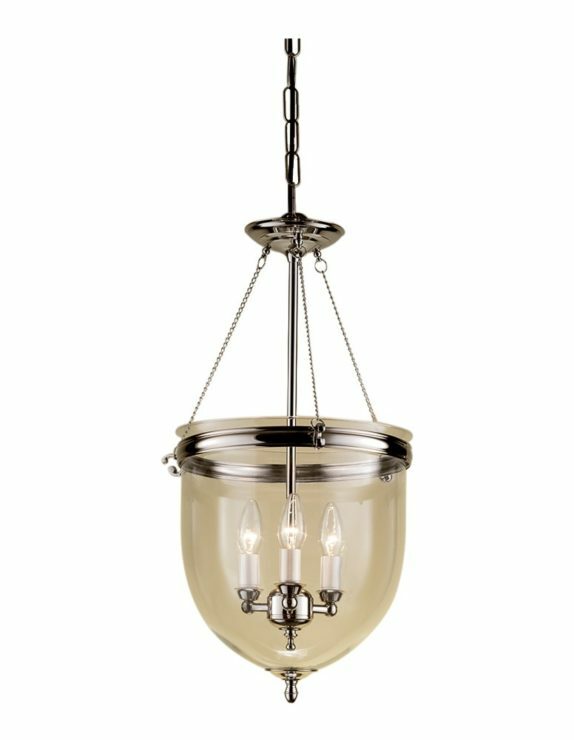 Available in a choice of chrome or brass finishes with a matt powder coated shade, Bestlite provides controlled light in a downlight illumination, making it perfect for above your dining room table or kitchen interior. 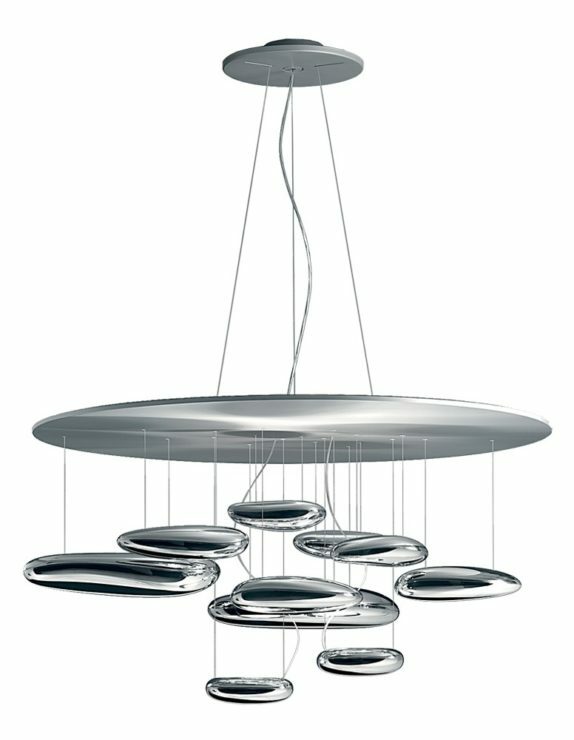 From Chelsom, the elegant lighting solution is made from glass and comes with internal steel metalwork in a polished chrome finish. 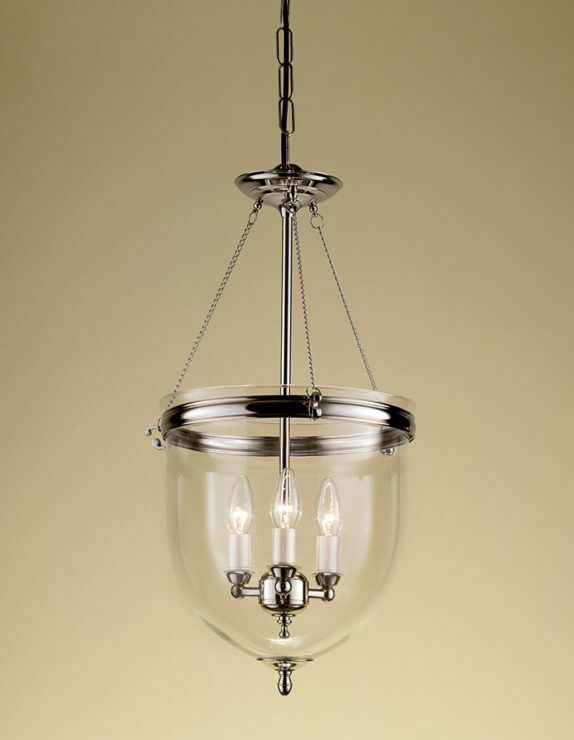 This stunning lighting solution comprises a solid brass frame in a polished nickel finish with curved glass body. 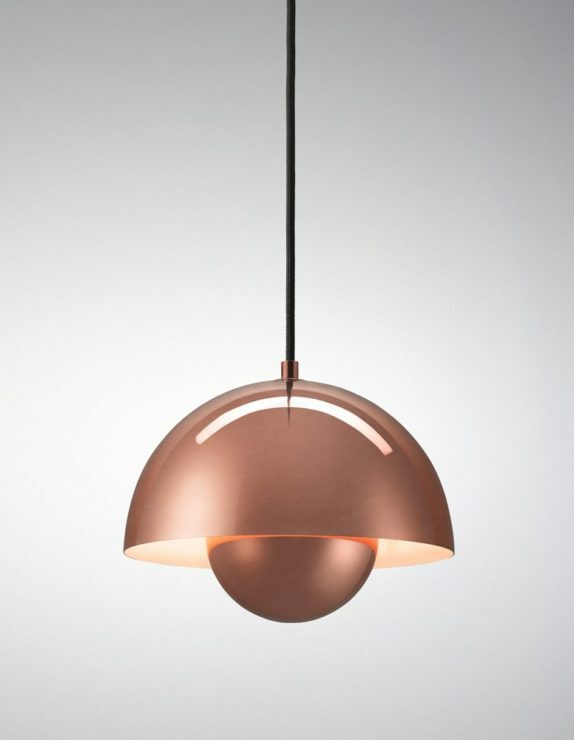 Iconic Verner Panton Lacquered steel flowerpot pendant lamp which has been reinvented with fashionable copper metal finish. 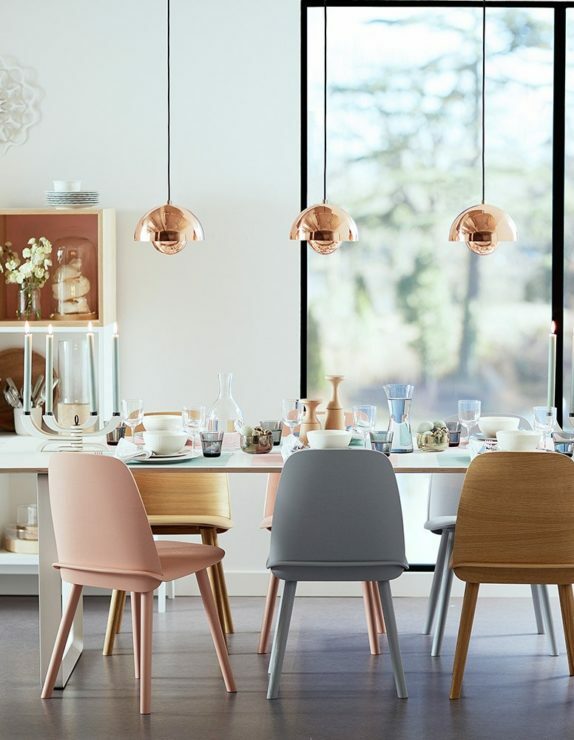 Originally designed in the late 1960s in the same year that Stanley Kubrick featured the future of 2001 using Panton’s iconic chair, the original version of this colourful lamp was hanging in bars and restaurants and soon homes around Europe. 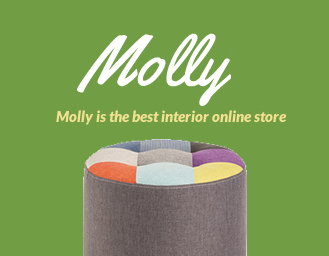 The flower pot with its 2 semi circular spheres facing each other has proved its lasting design quality and is just as stylish today as it was then. 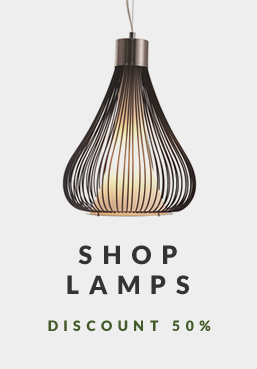 The pendant comprises a matt lacquered metal shade with a plated metal suspension, and produces a spectacular light which shines from both its top and bottom (it secures an even solid light downwards and a diffused light upwards). 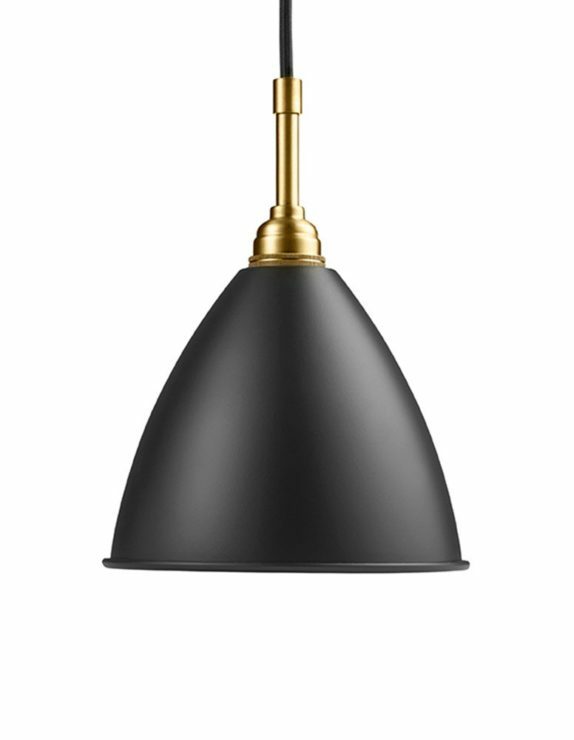 Deep slate brass wall mounted wall lamp from Anglepoise. 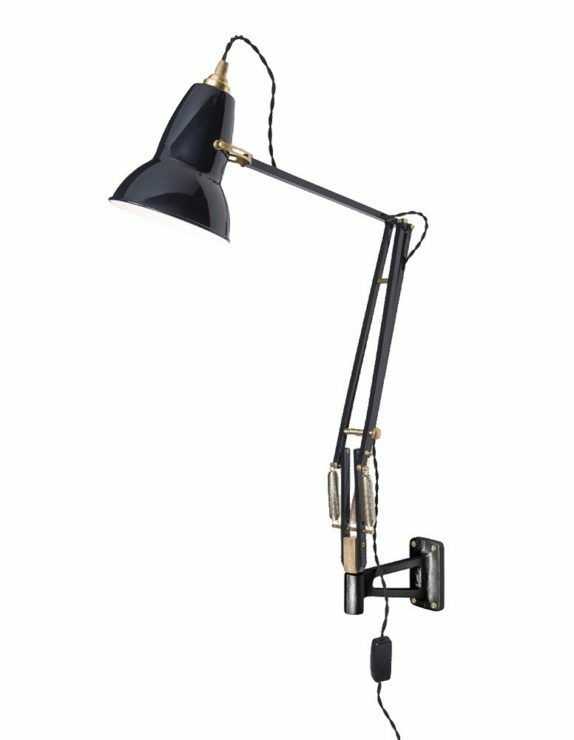 Illuminate your style-conscious interior with the Anglepoise Original 1227 Brass Wall Mounted Lamp – Deep Slate. 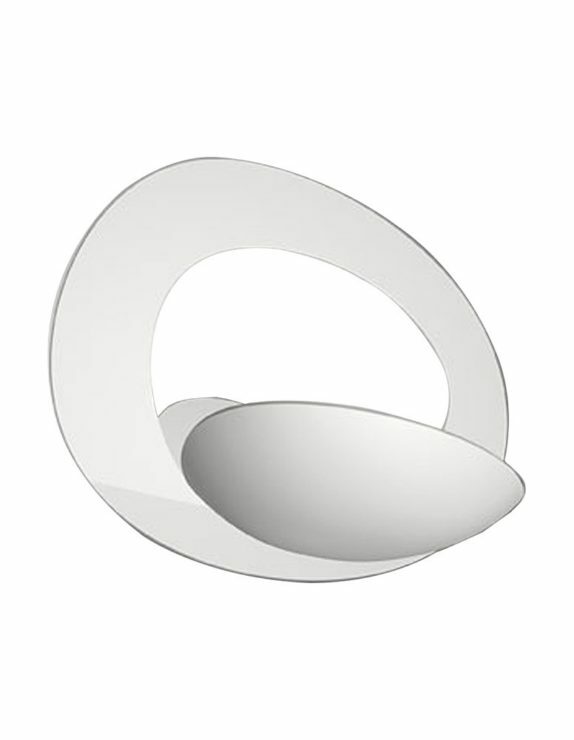 Elegant, contemporary painted aluminium wall lamp from Artemide. 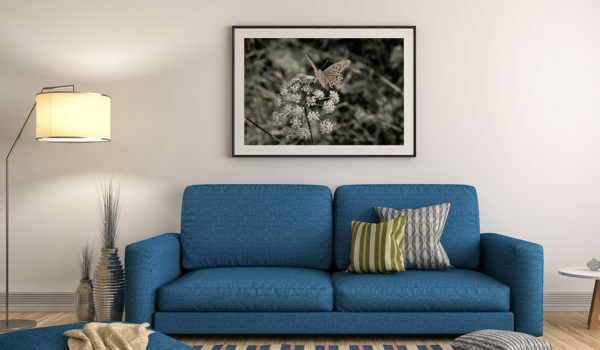 The Pirce Wall Halogen Lamp will add an illuminating layer of designer style to the surroundings. 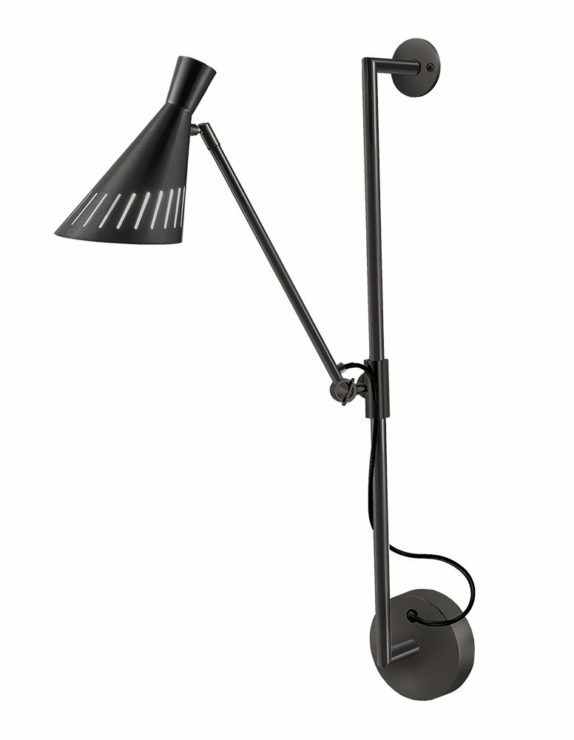 Sleek steel desk lamp in a black bronze finish with acrylic diffuser from Chelsom. 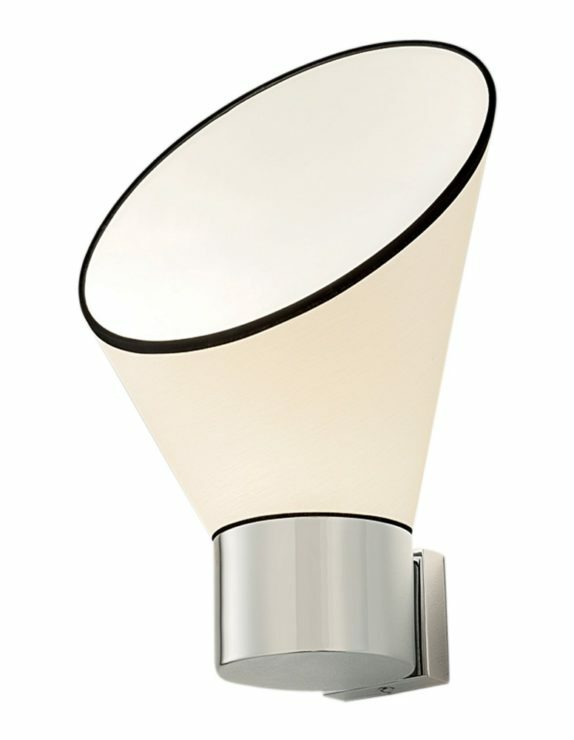 Stylish wall light with oyster shade and contrasting black trim. 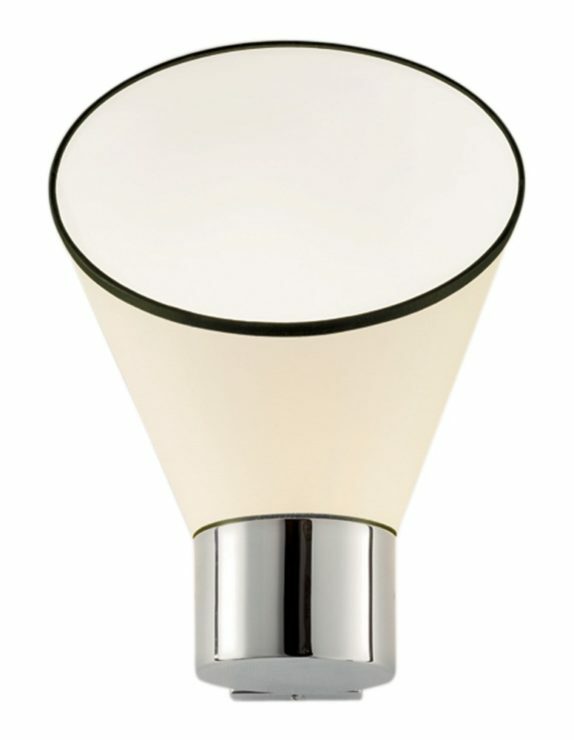 The curved inverted cone profile of this Chelsom wall lamp is mounted on a chrome metal base and gives striking up light. 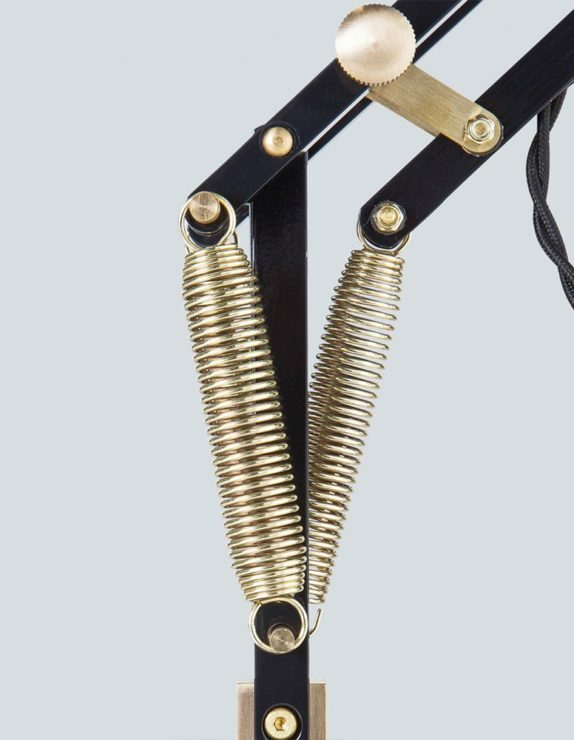 Black iron adjustable wall lamp by Lene Bjerre. 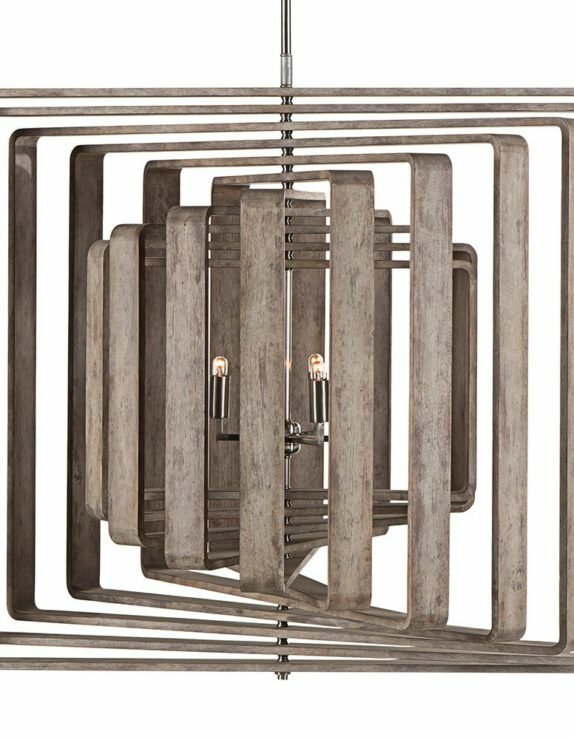 Create a dynamic dimension in your interior space with the illuminating appeal of the Lene Bjerre Marina Wall Lamp. 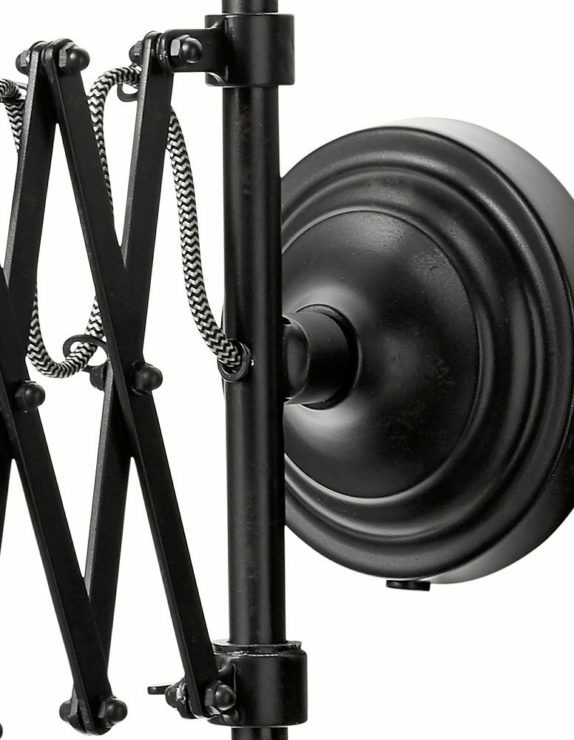 Sculpted from iron with a black metal finish, this retro-inspired, industrial style wall lamp is the perfect remedy for dimly lit hallways or adding style to classic and contemporary interiors. 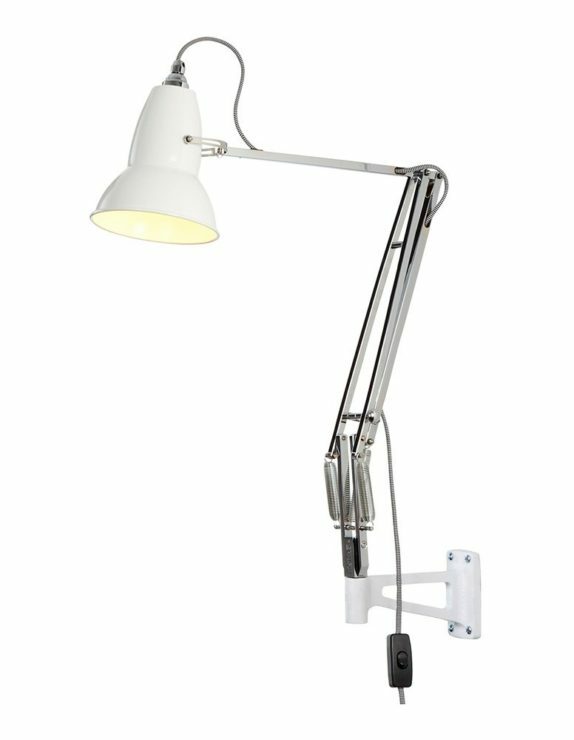 Complete with a trellis lattice extendable arm, the hinged lamp head can be tweaked to direct light where you need it most. 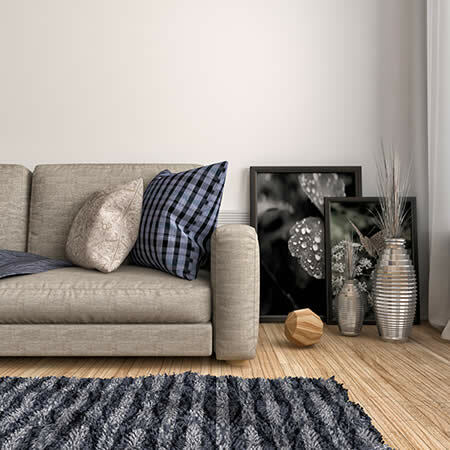 A circular wall plate completes the look in style; accent with complementing designer furniture by Lene Bjerre to create a layered fusion of designer style. 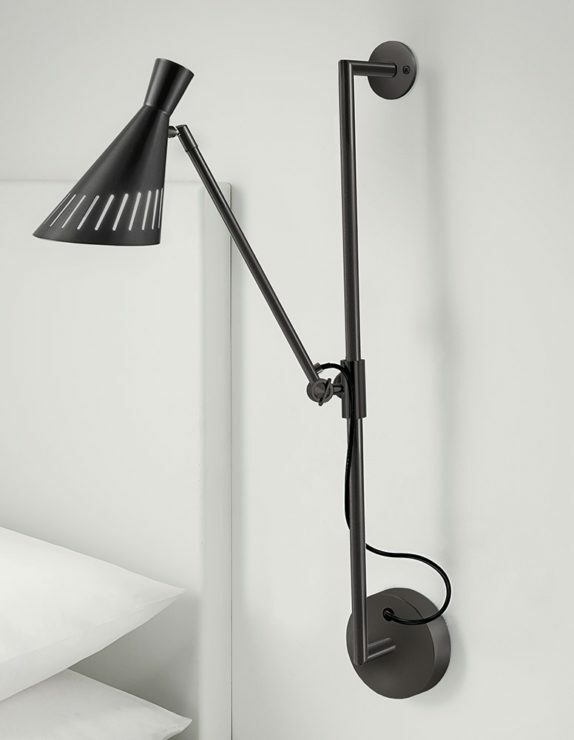 Guide light with the Anglepoise Duo 1227 Wall Mounted Lamp. 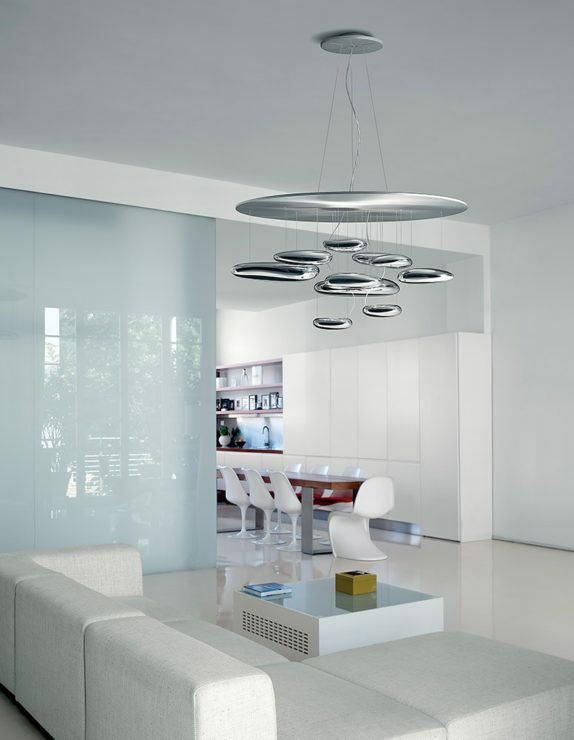 The piece features an aluminium shade that comes in an alpine white finish. 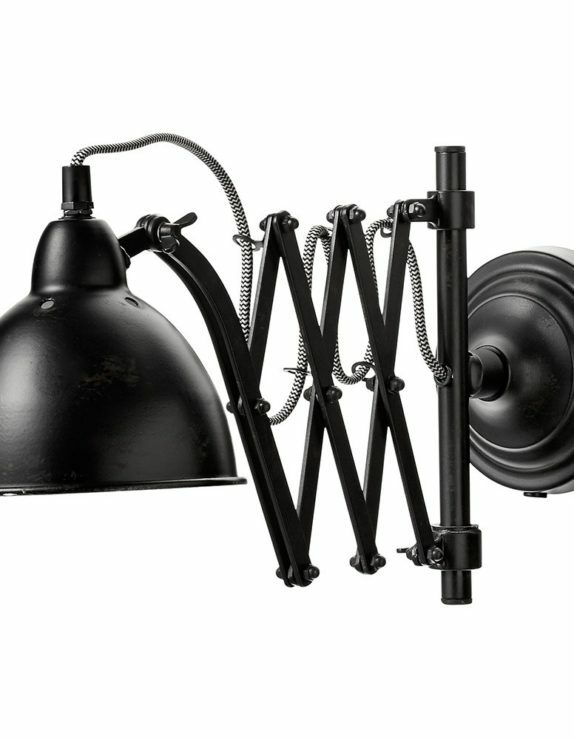 It has chrome-finished arm support, metal joints, a cast iron wall mounted bracket with steel covering and stainless steel fittings, complete with attractive black and white braided cable. 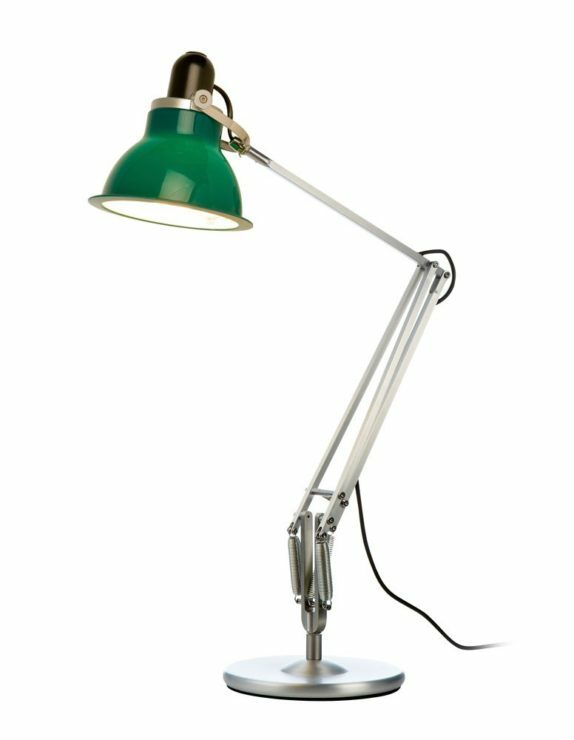 The lamp derives from the first and iconic Anglepoise lamp and comes with Anglepoise constant tension spring technology. 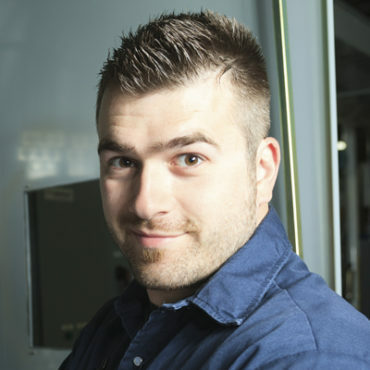 The cable also houses an inline on/off switch. 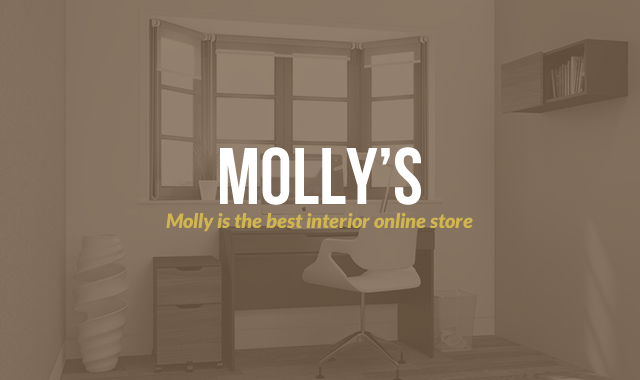 Molly is a smashing WooCommerce template in strikingly modern and practical design with a thought on making sales. To “update and clarify” a 1961 house in Houston, architect Ray Booth of McAlpine and Elizabeth Kennedy balanced the original aesthetic with a contemporary point of view. Life does not always go smoothly. If you think about how you would handle these problems in advance, you will be able to cope with them and continue your job and education.